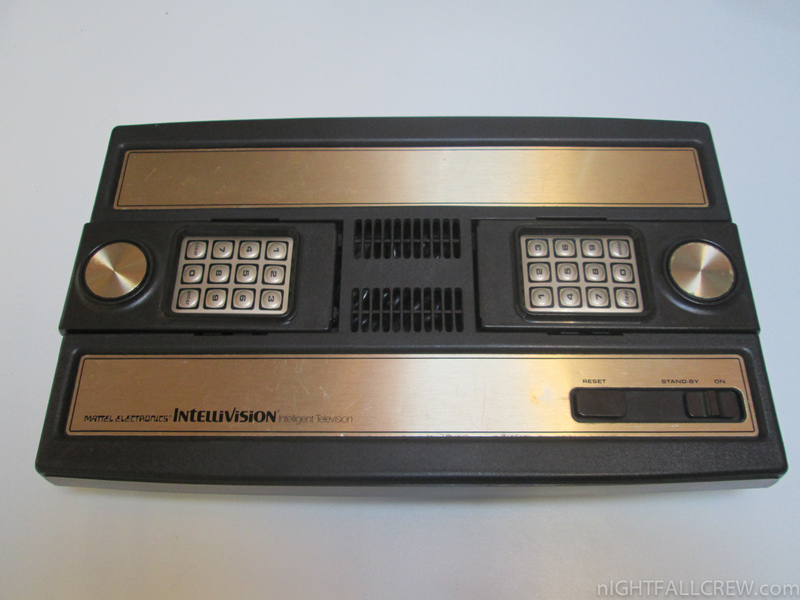 The Intellivision is a video game console released by Mattel in 1979. 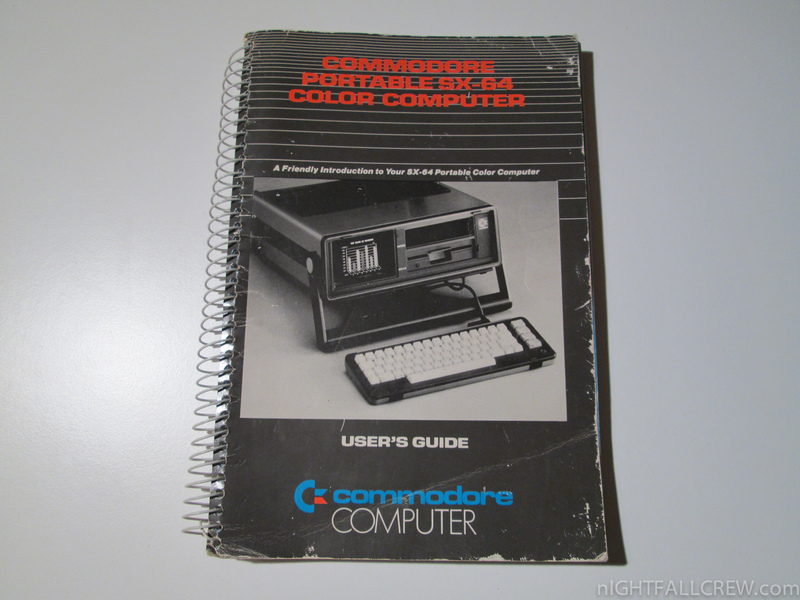 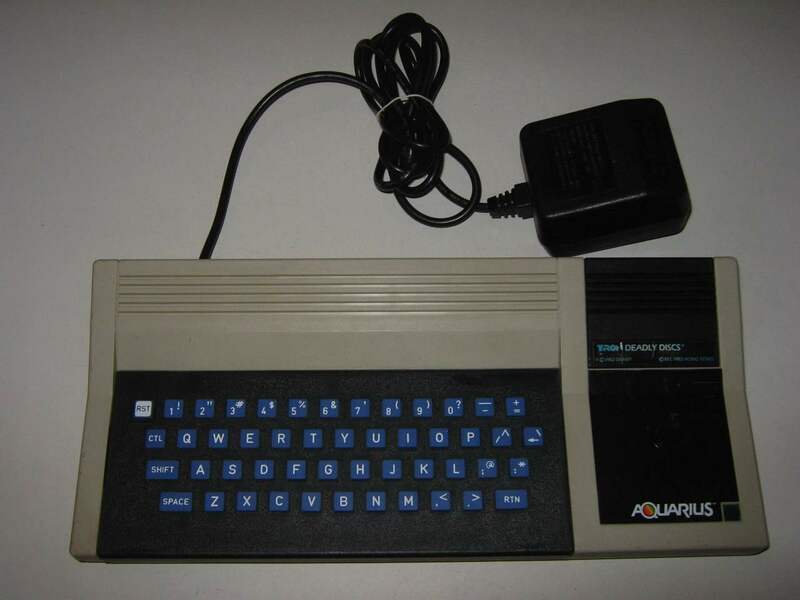 Development of the console began in 1978, less than a year after the introduction of its main competitor, the Atari 2600. 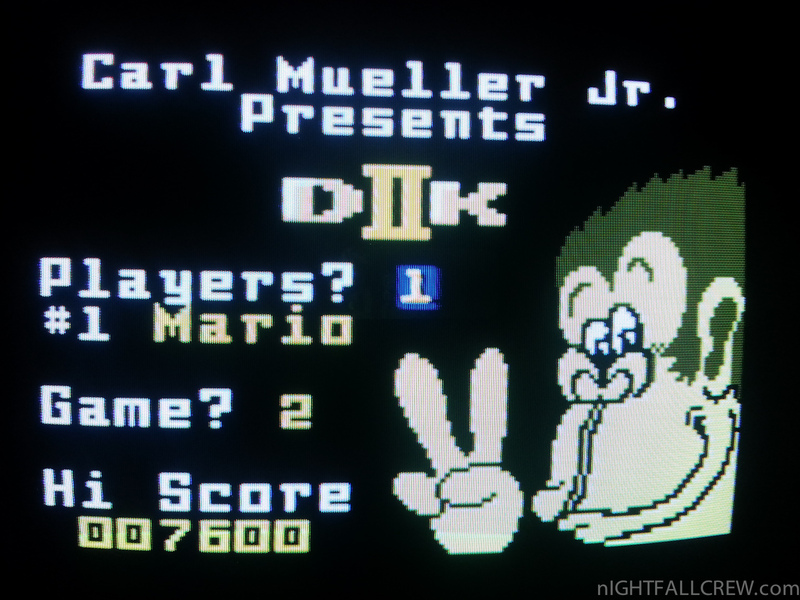 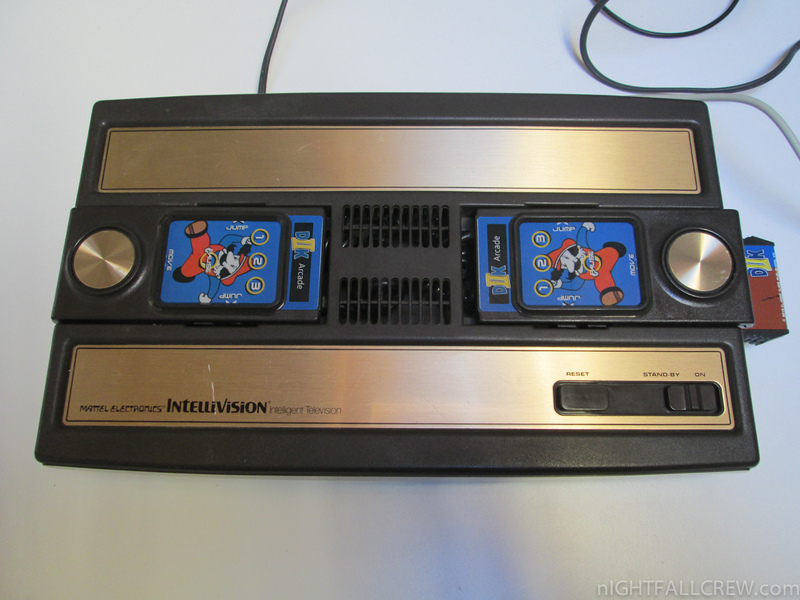 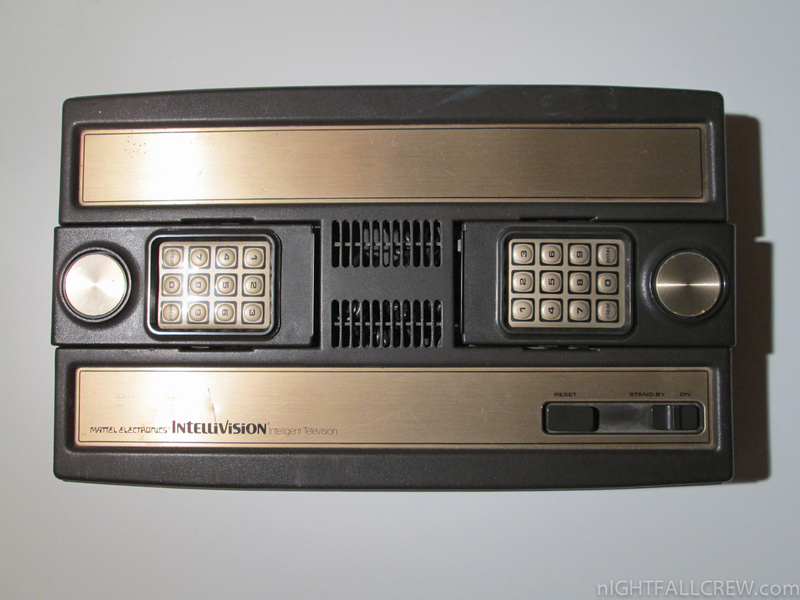 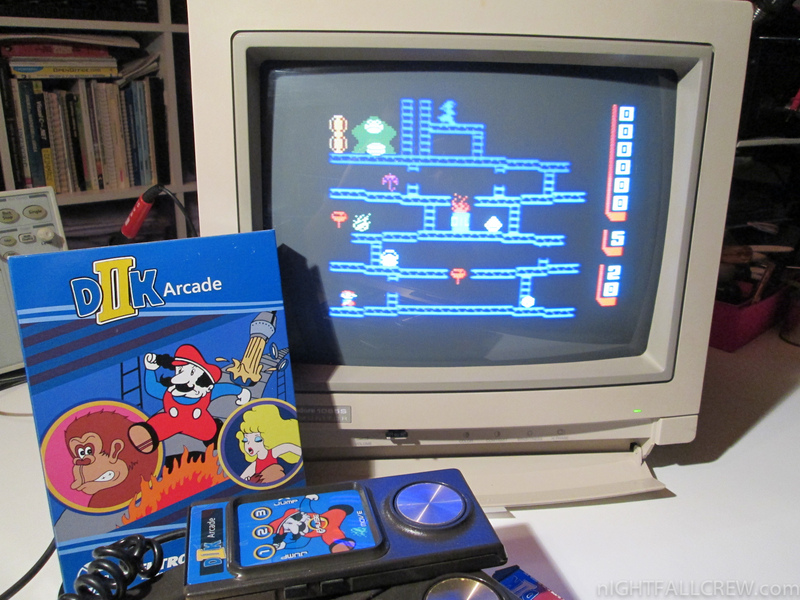 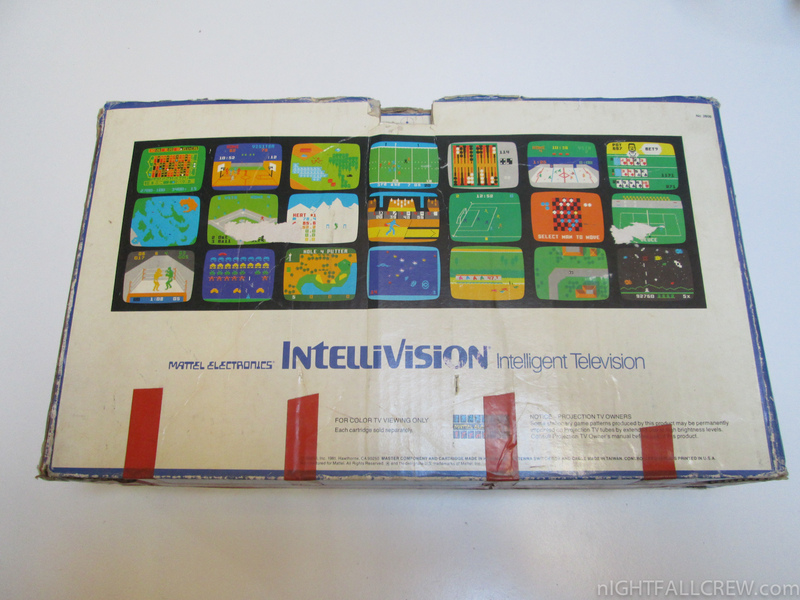 The word intellivision is a portmanteau of “intelligent television”. 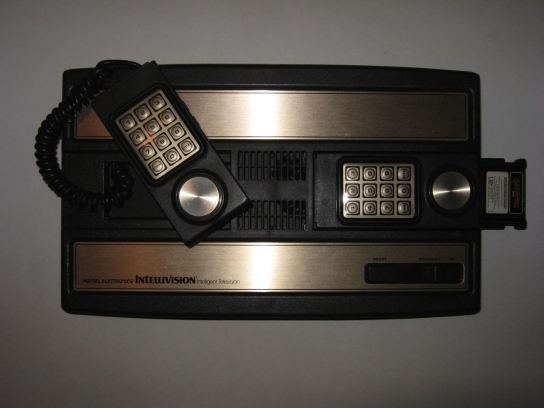 Over 3 million Intellivision units were sold and a total of 125 games were released for the console. 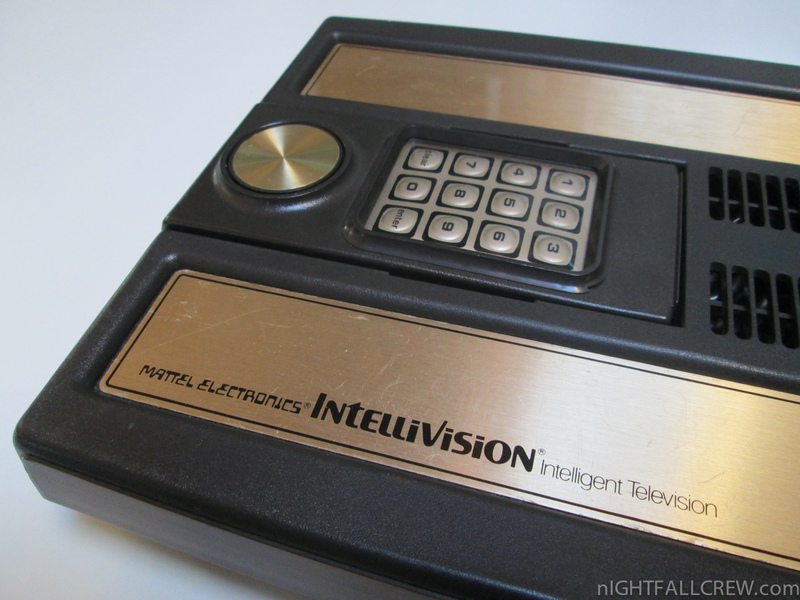 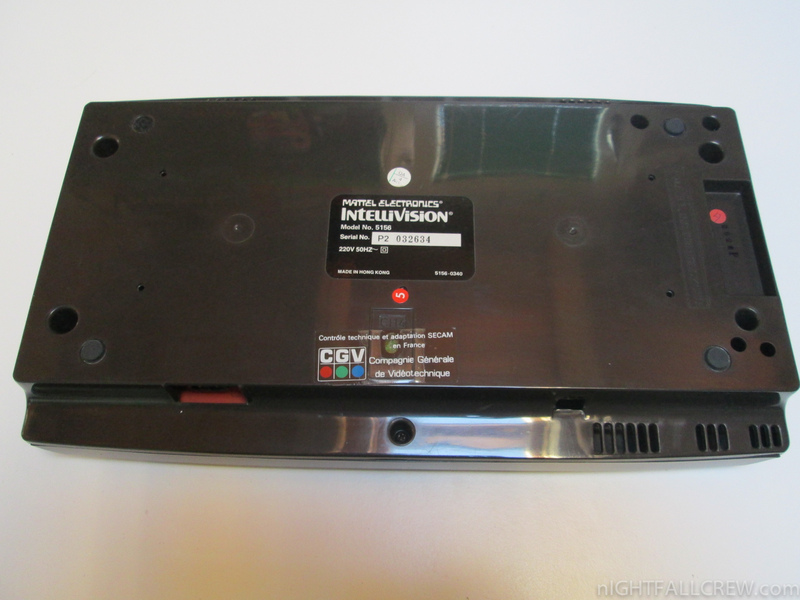 In 2009, video game website IGN named the Intellivision the No. 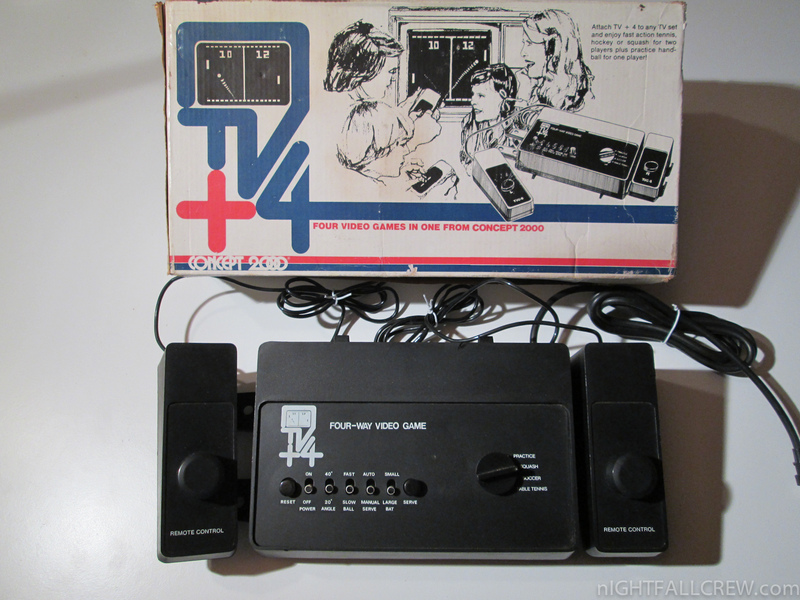 14 greatest video game console of all time. 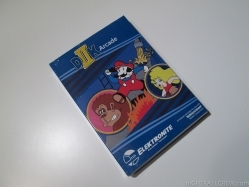 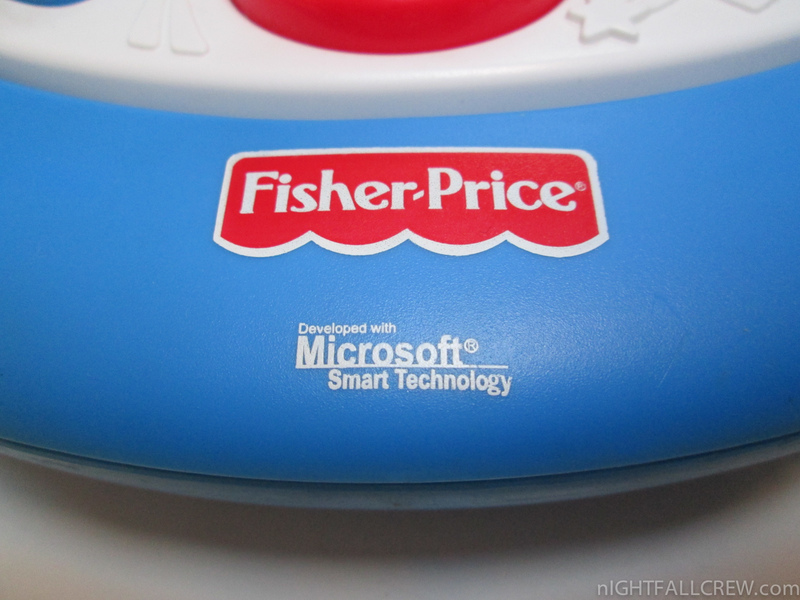 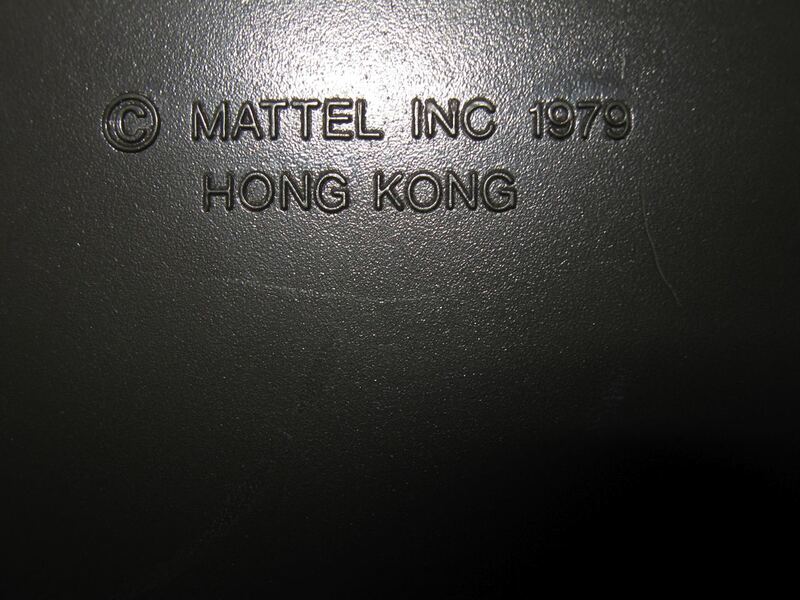 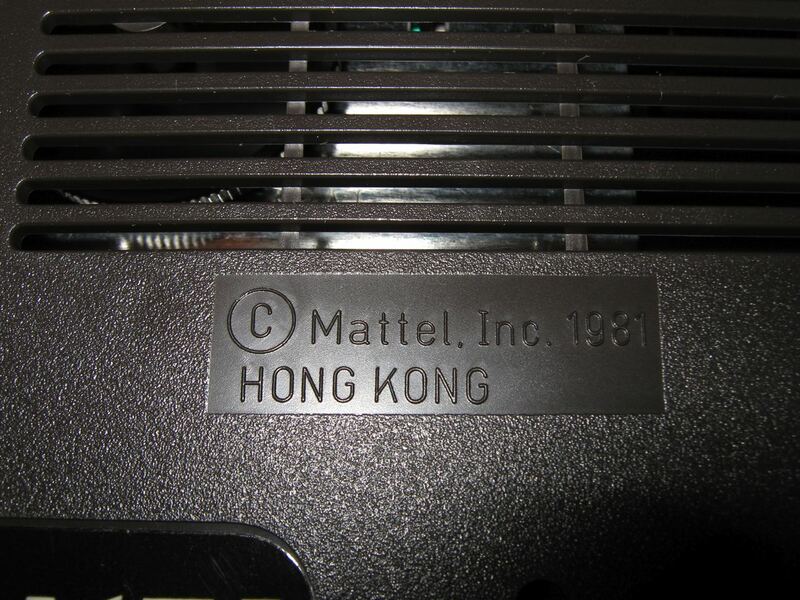 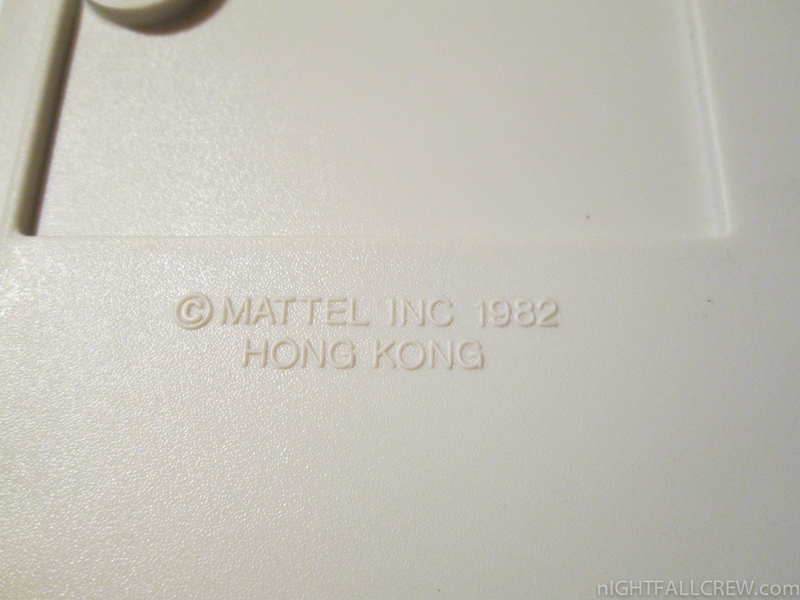 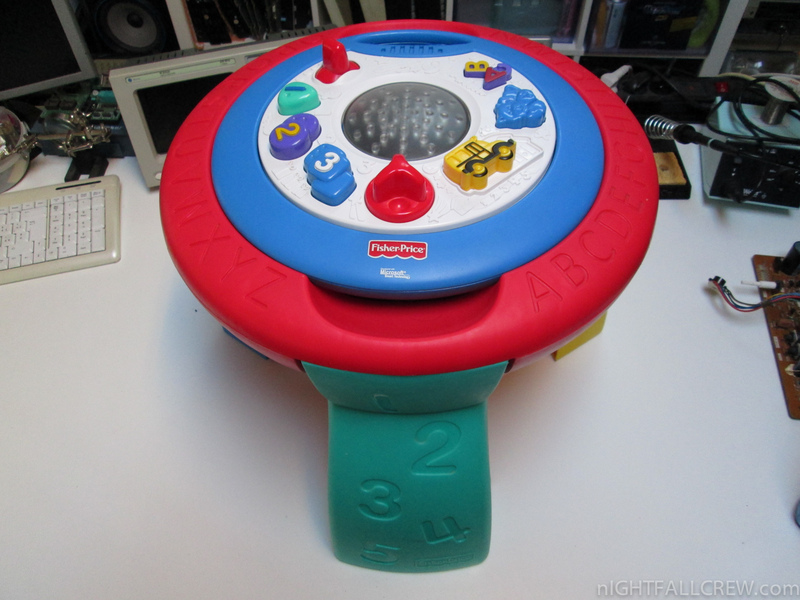 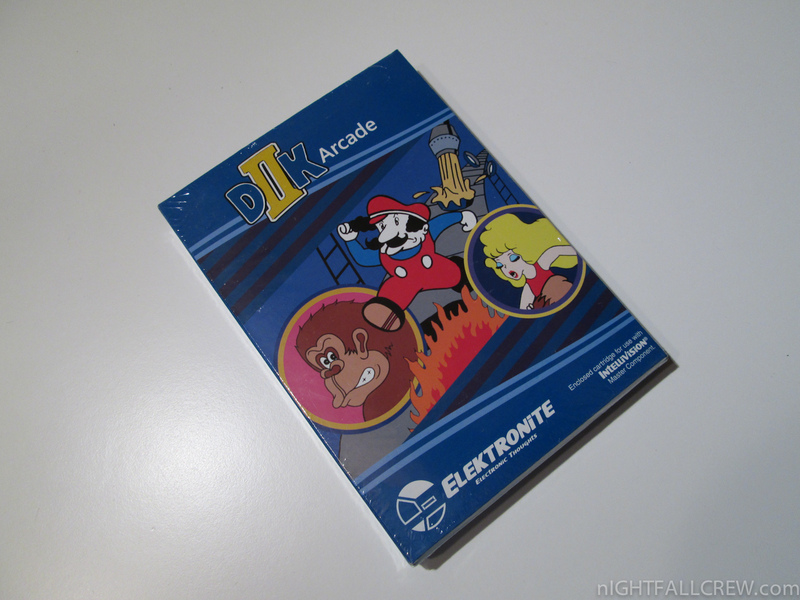 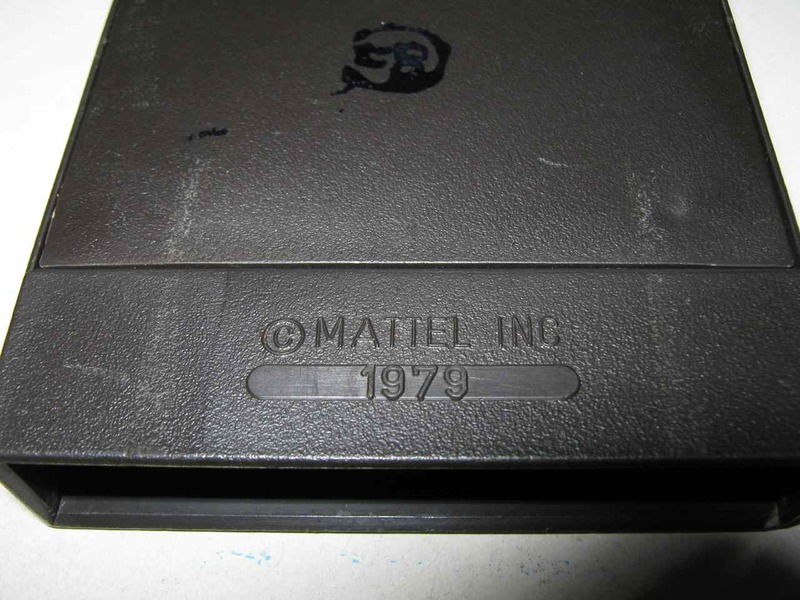 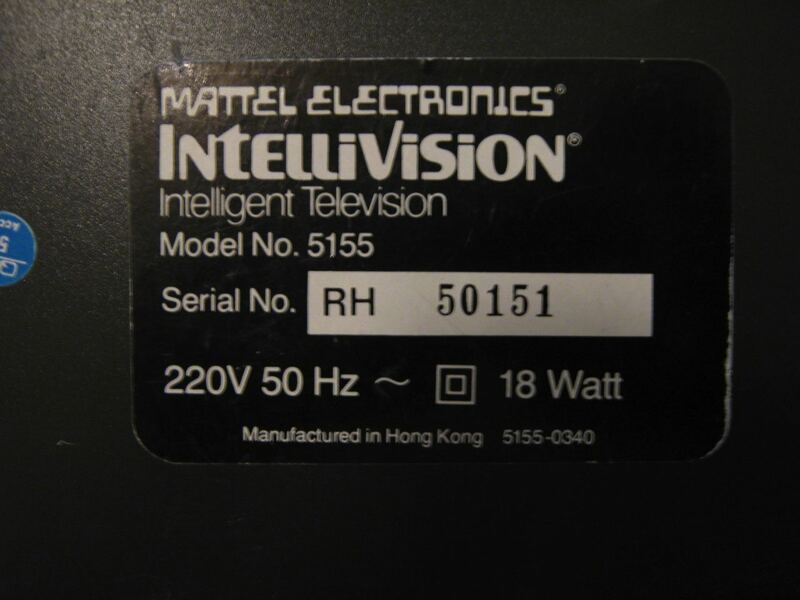 It became Mattel’s first video game console, though it was their only console until the release of the HyperScan in 2006. 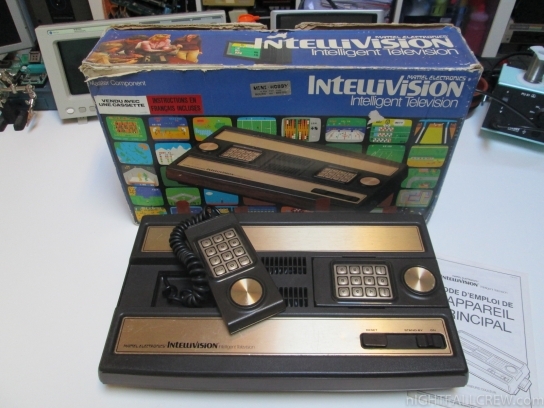 The Intellivision was developed by Mattel Electronics, a subsidiary of Mattel formed expressly for the development of electronic games. The console was test marketed in Fresno, California, in 1979 with a total of four games available, and was released nationwide in 1980 with a price tag of US$299 and a pack-in game: Las Vegas Poker & Blackjack. 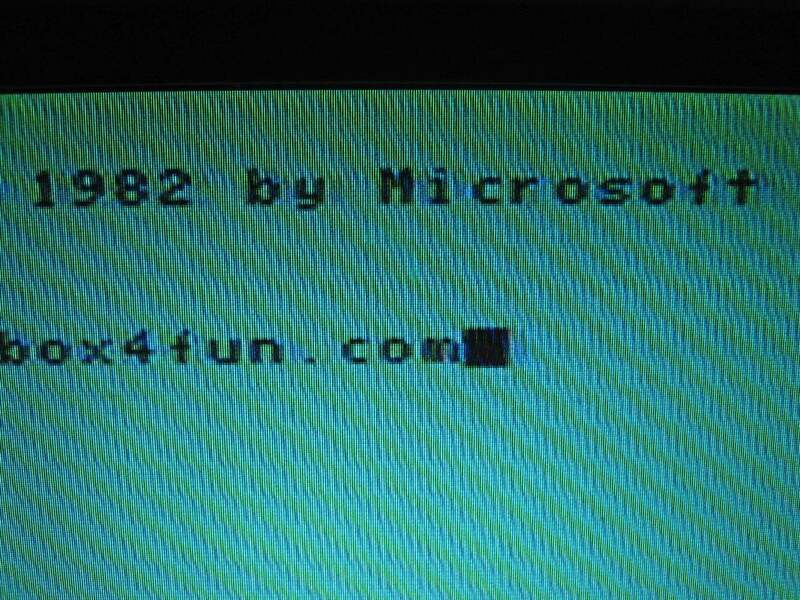 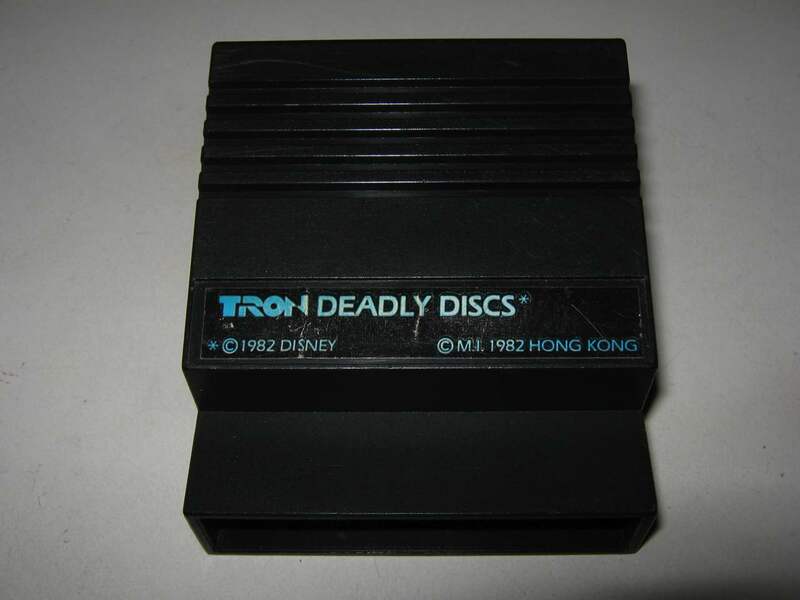 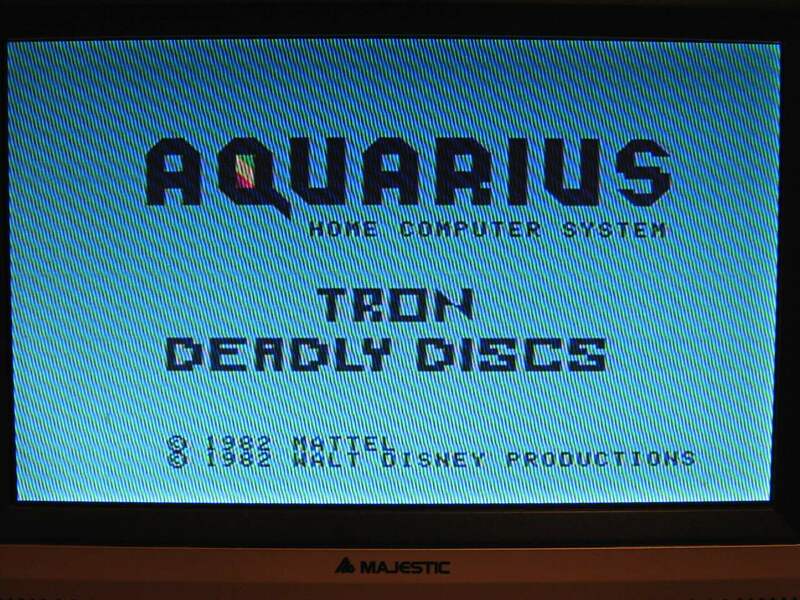 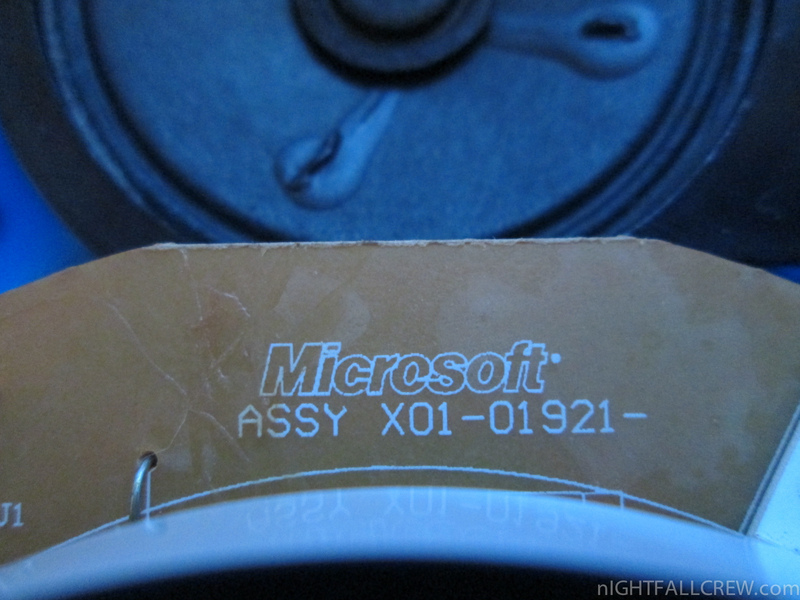 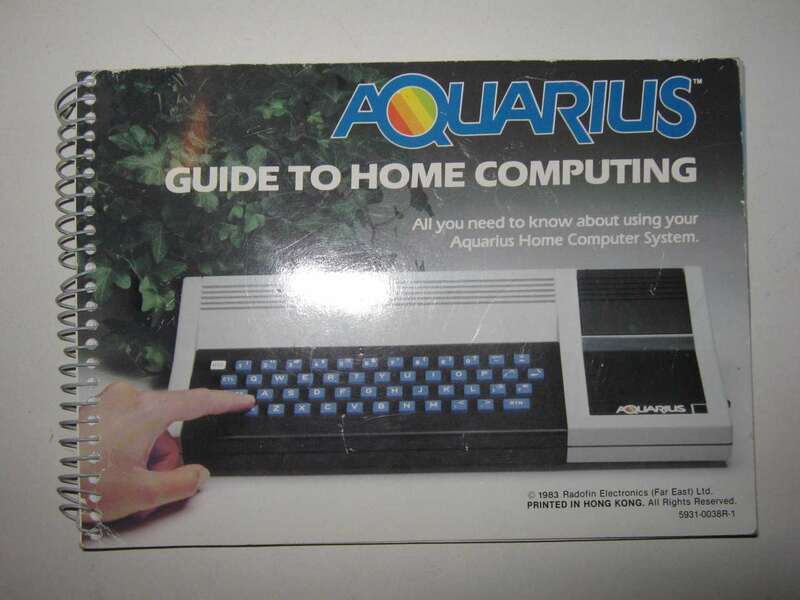 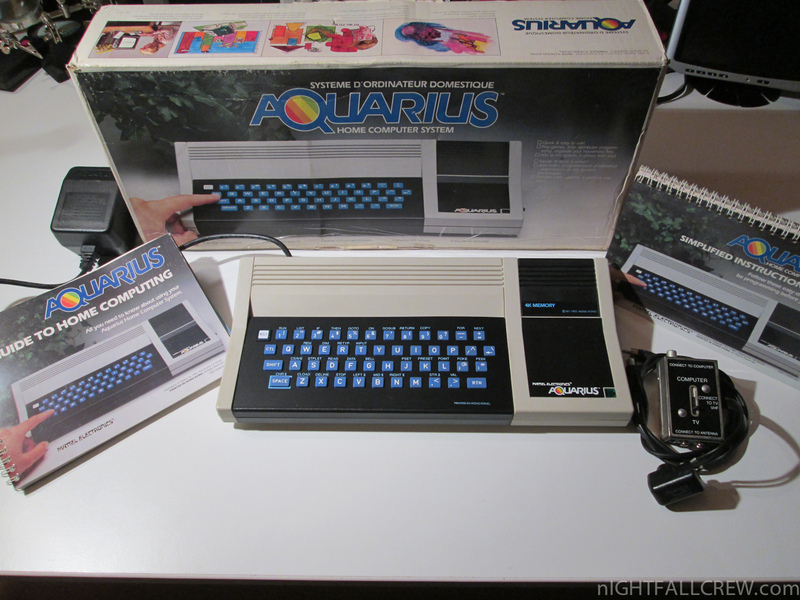 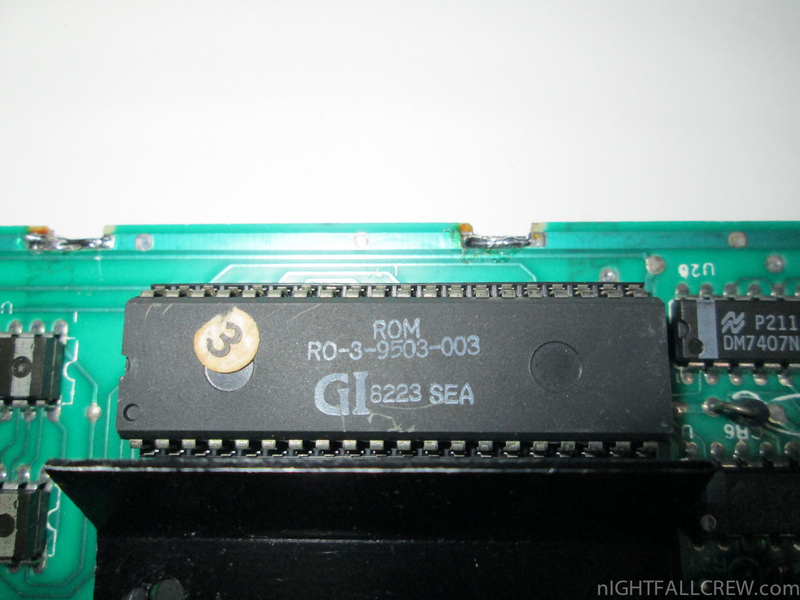 Though not the first system to challenge Atari, it was the first to pose a serious threat to Atari’s dominance. 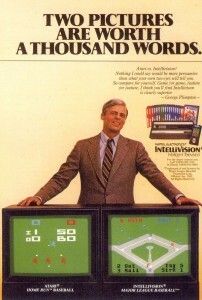 A series of advertisements featuring George Plimpton were produced, that demonstrated the superiority of the Intellivision’s graphics and sound to those of the Atari 2600, using side-by-side game comparisons. 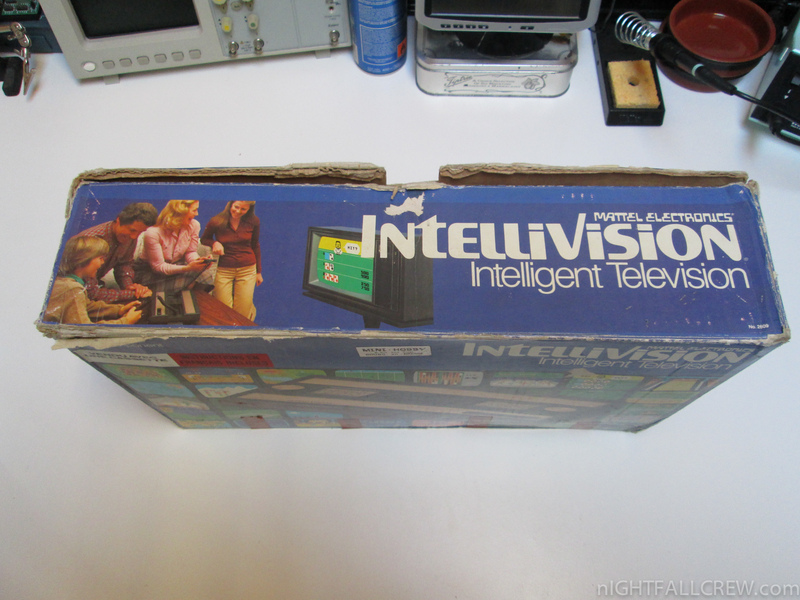 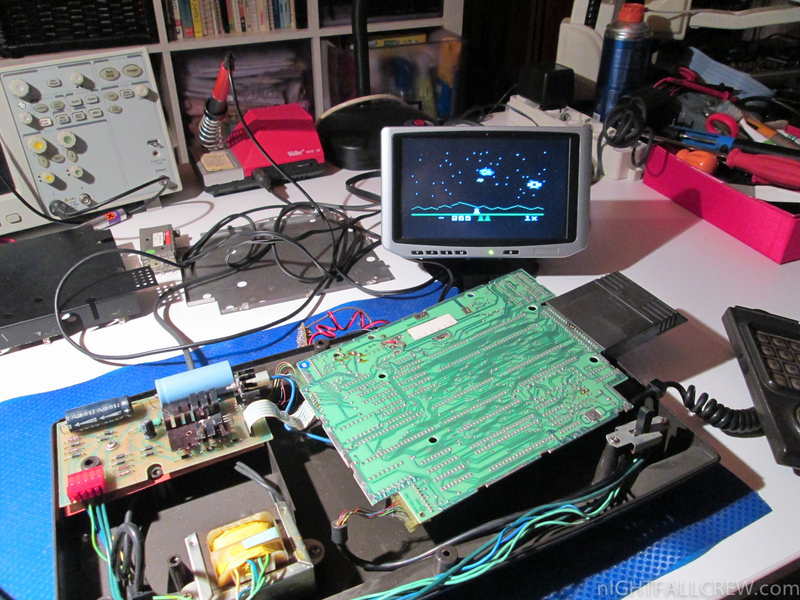 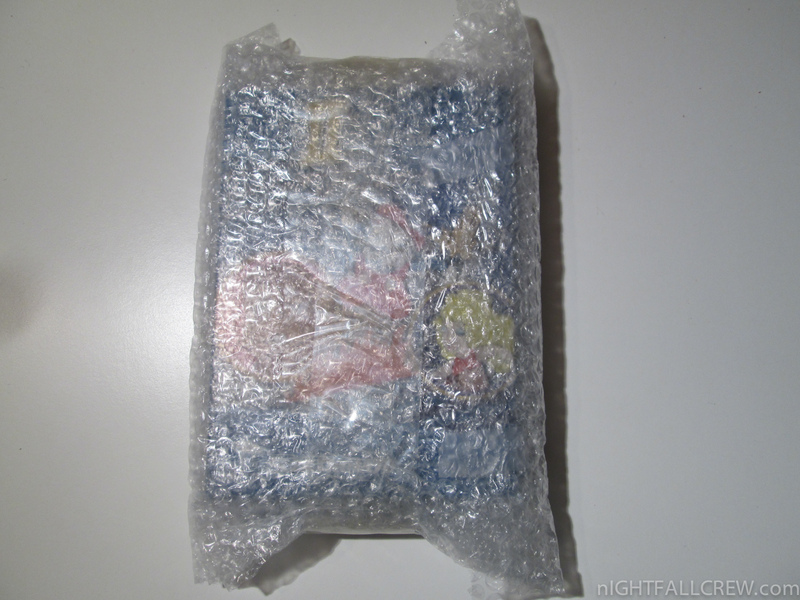 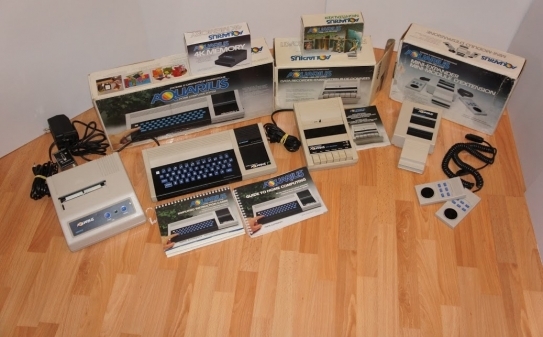 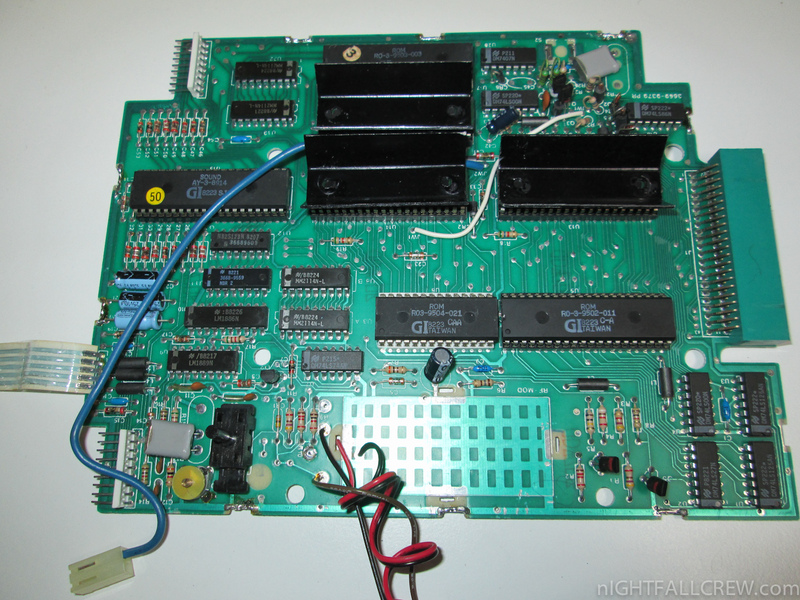 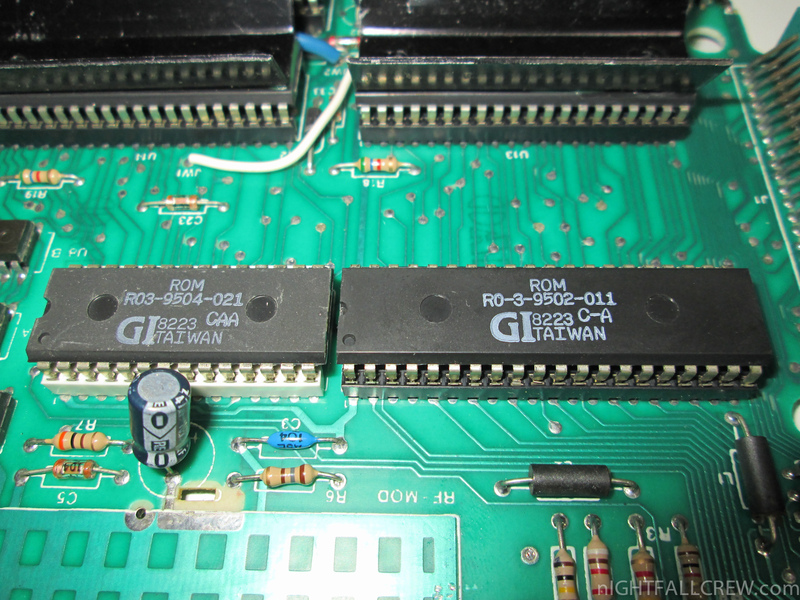 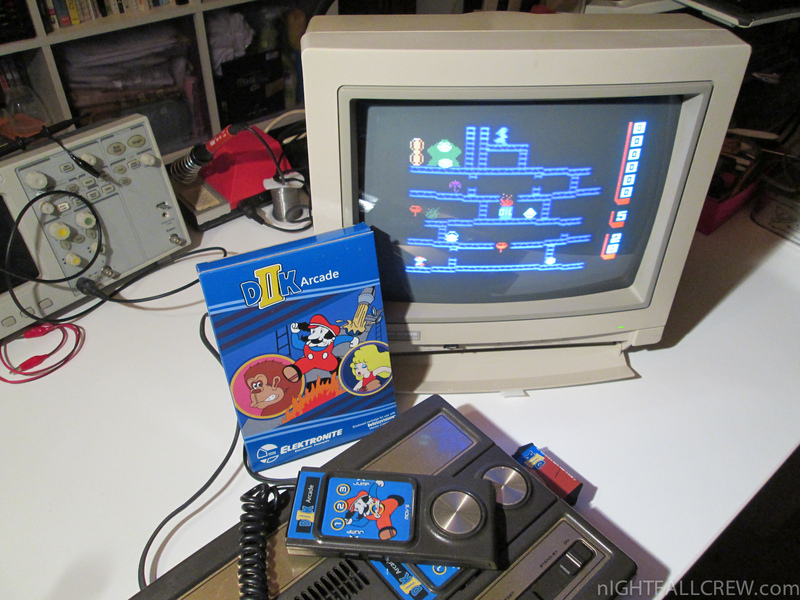 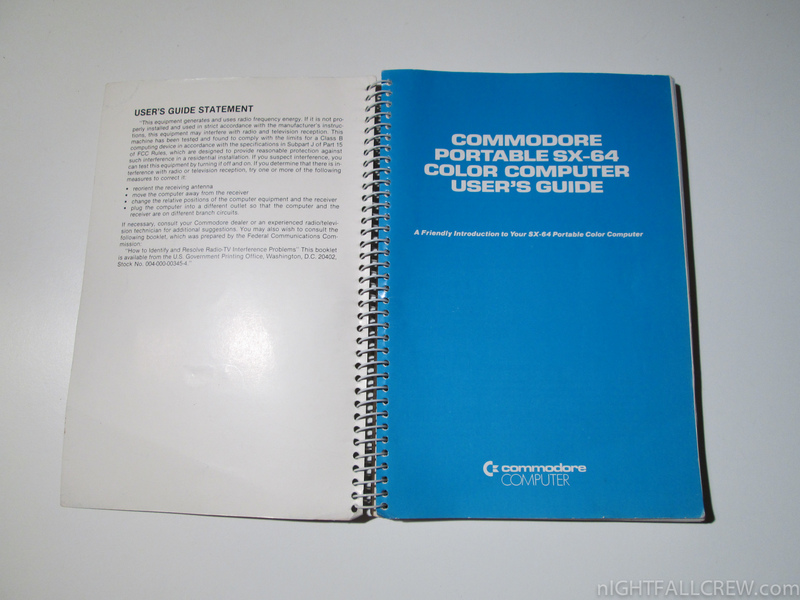 The Intellivision directly generates composite video using the AY-3-8915 Color Processor and a set of resistors. 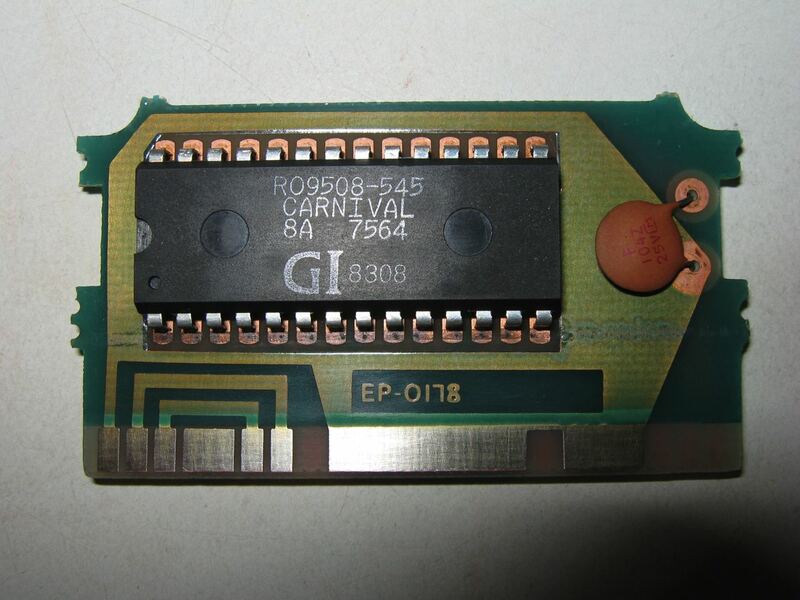 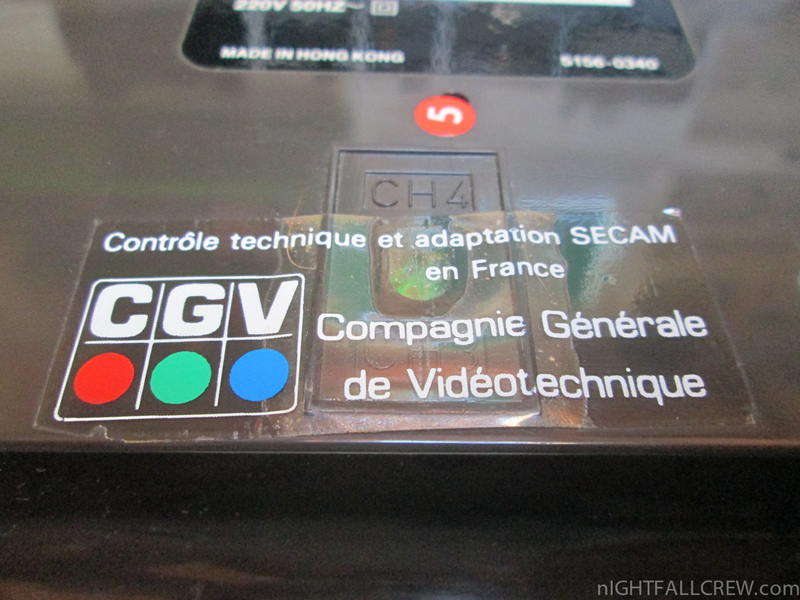 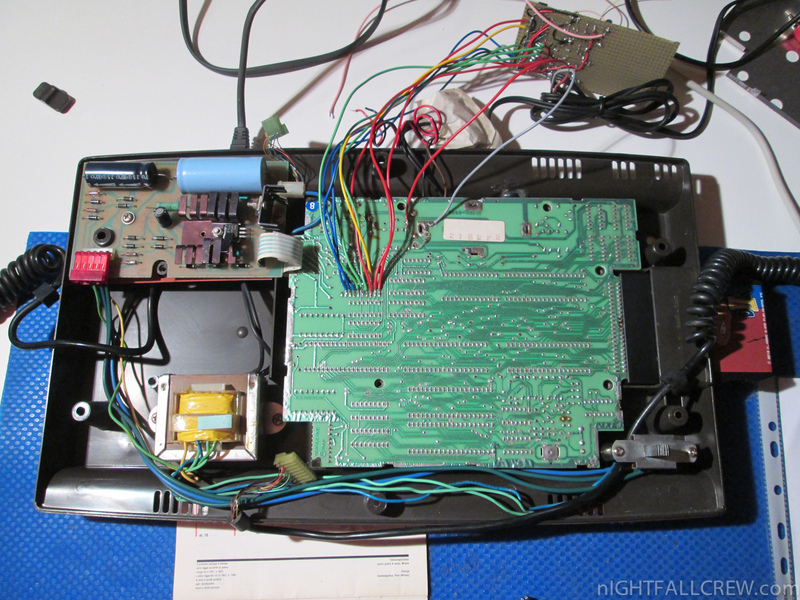 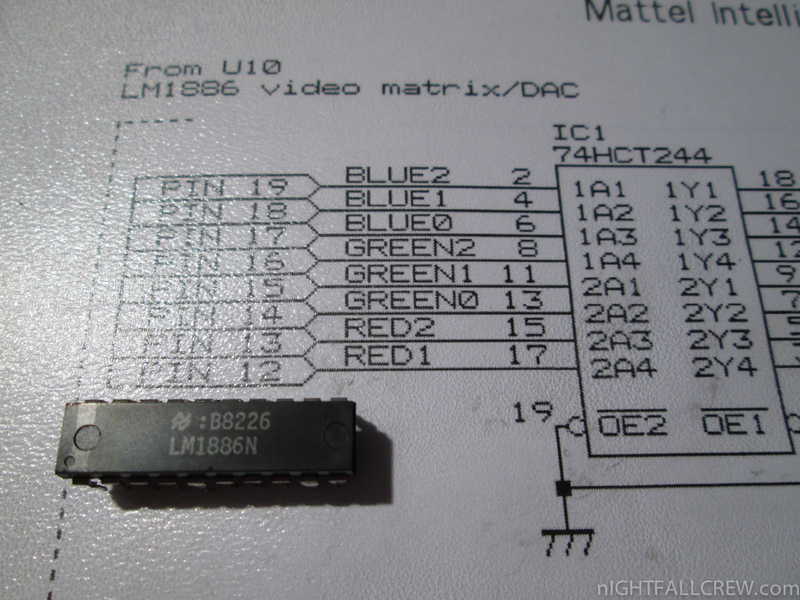 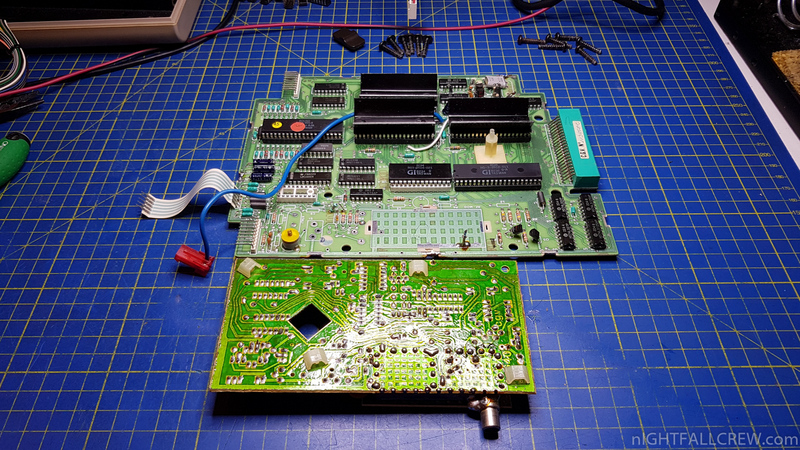 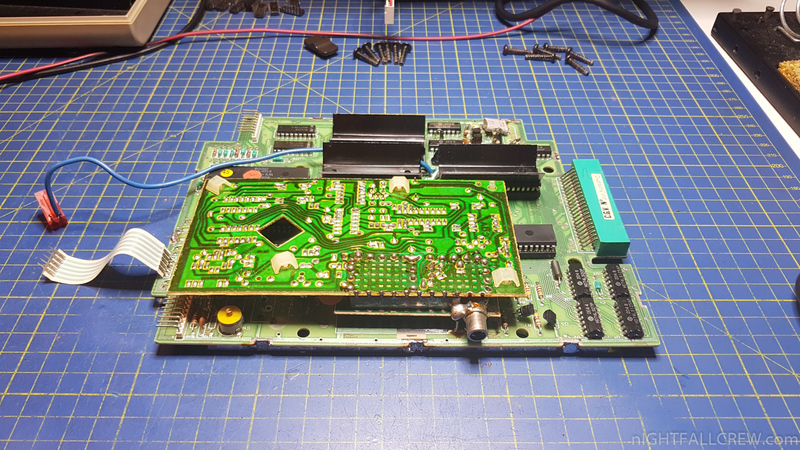 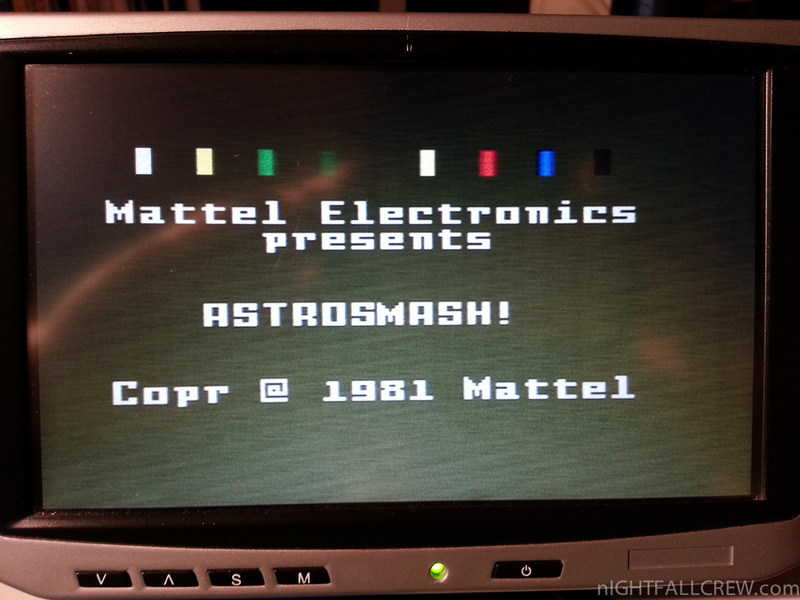 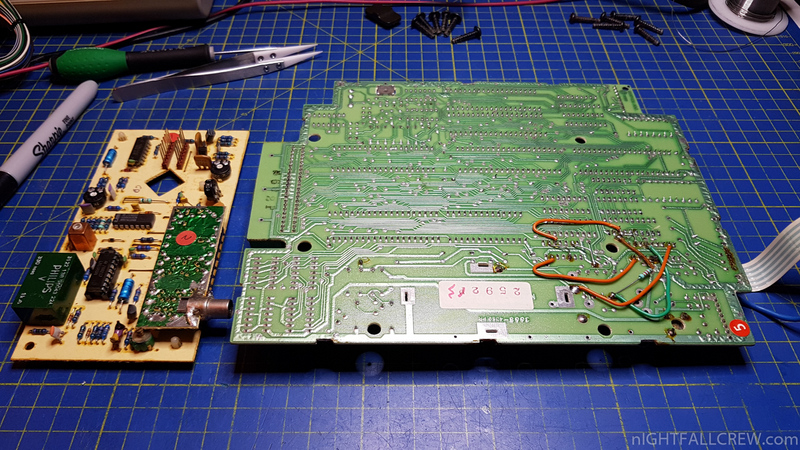 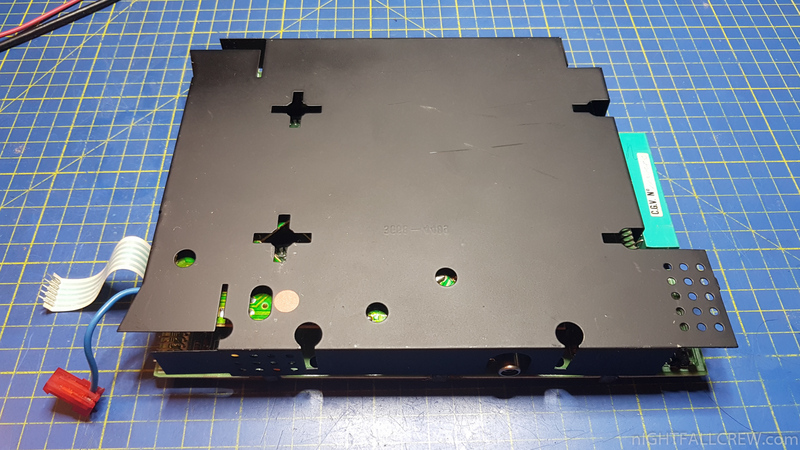 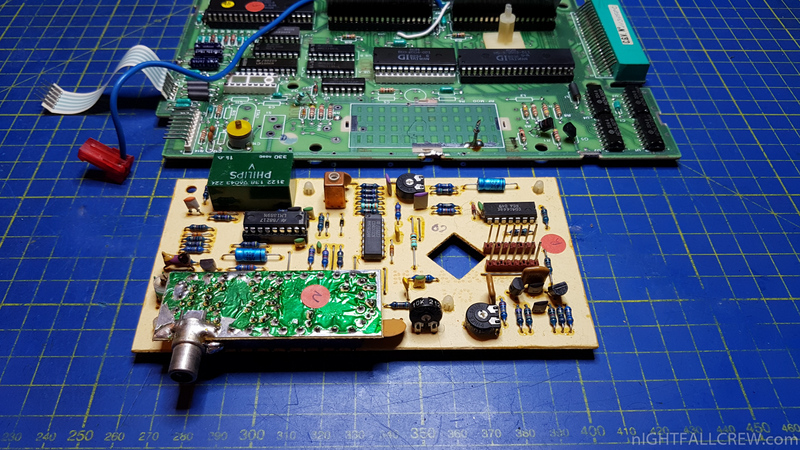 This video gets fed to the ASTEC UM1285-8 video modulator for conversion to RF for display on a television set. 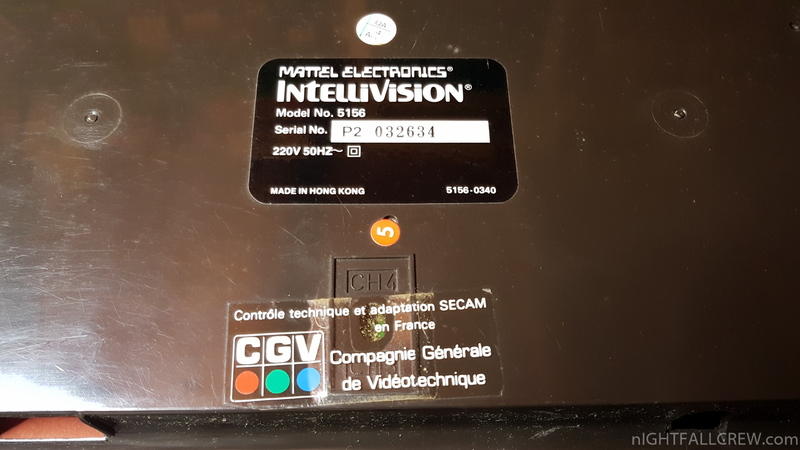 It is possible to tap this composite video directly to avoid the distortion and static associated with RF modulation and demodulation. 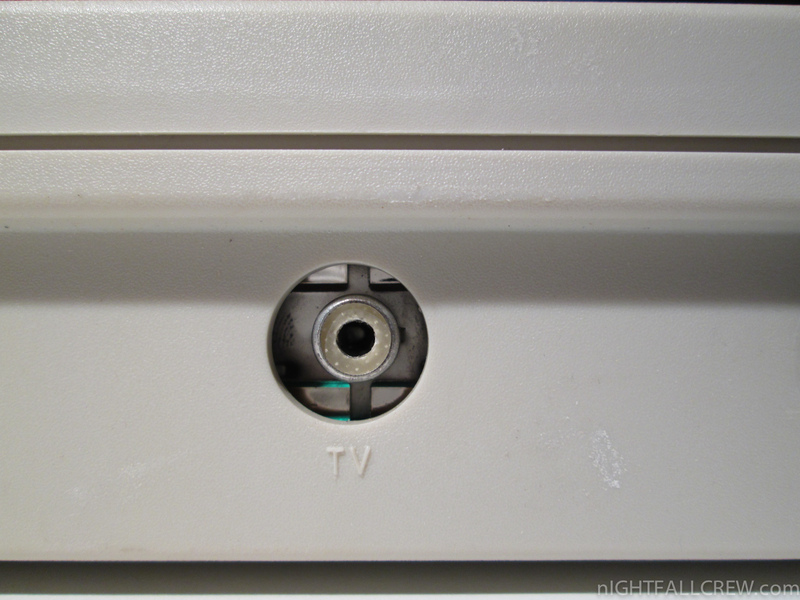 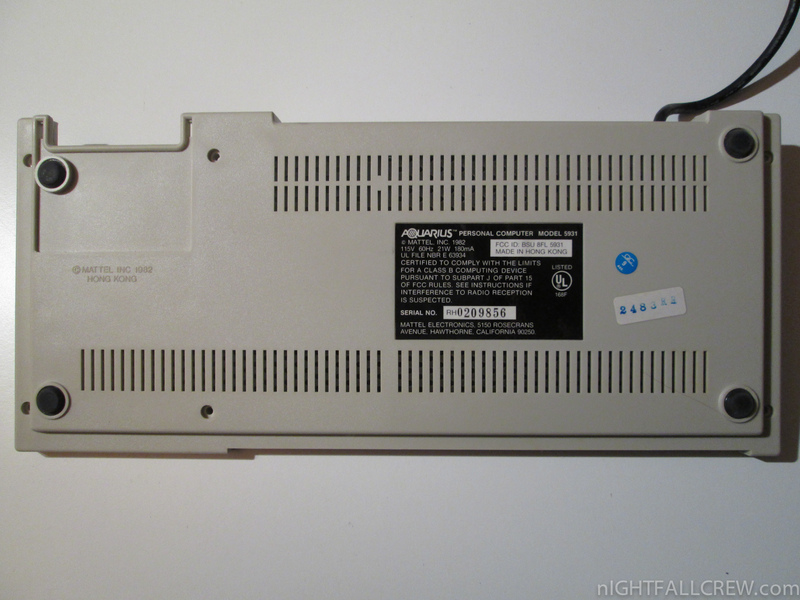 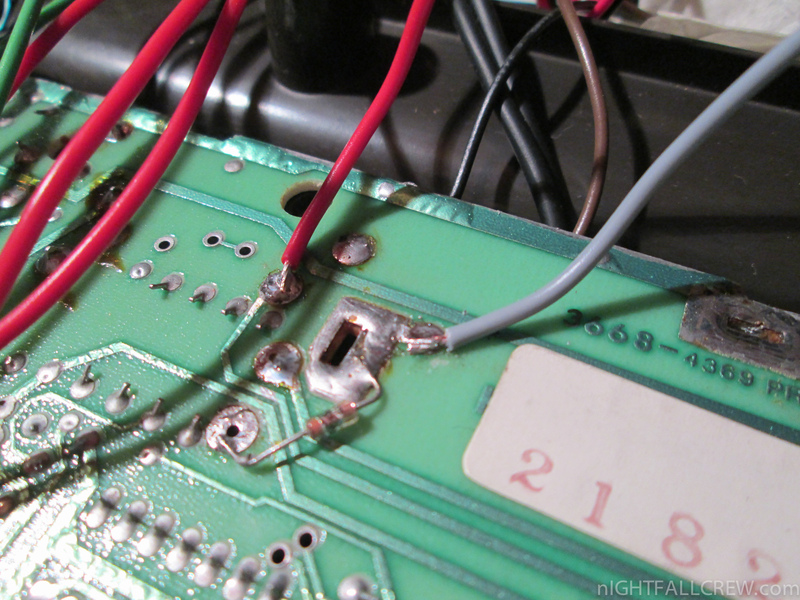 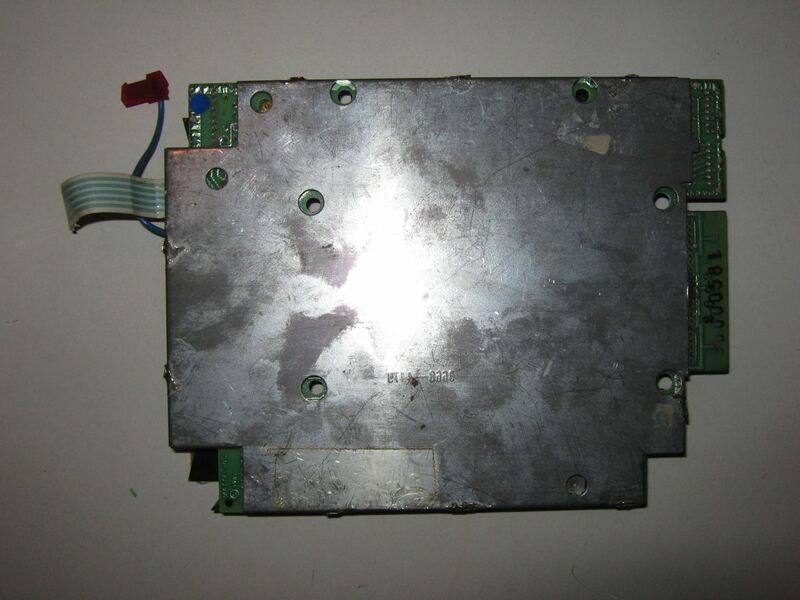 On older units, the RF modulator can decay rather noticeably, leading to very low quality video. 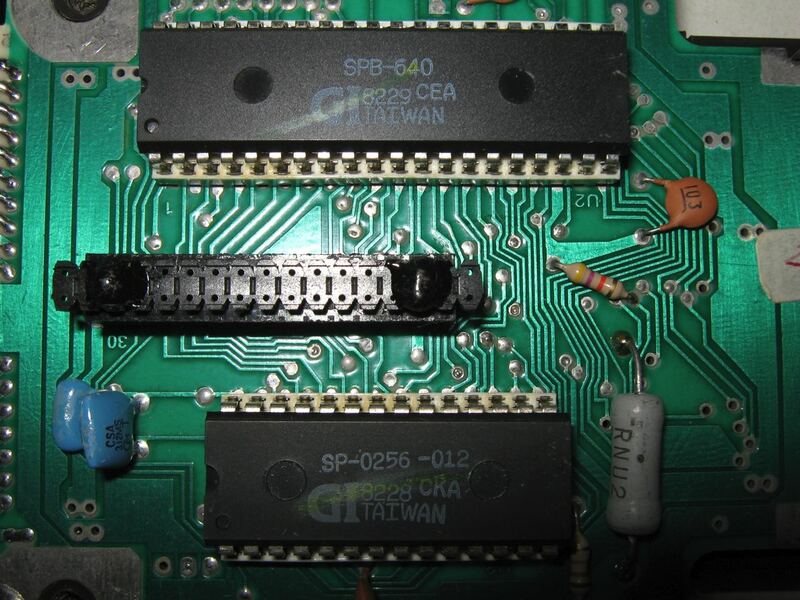 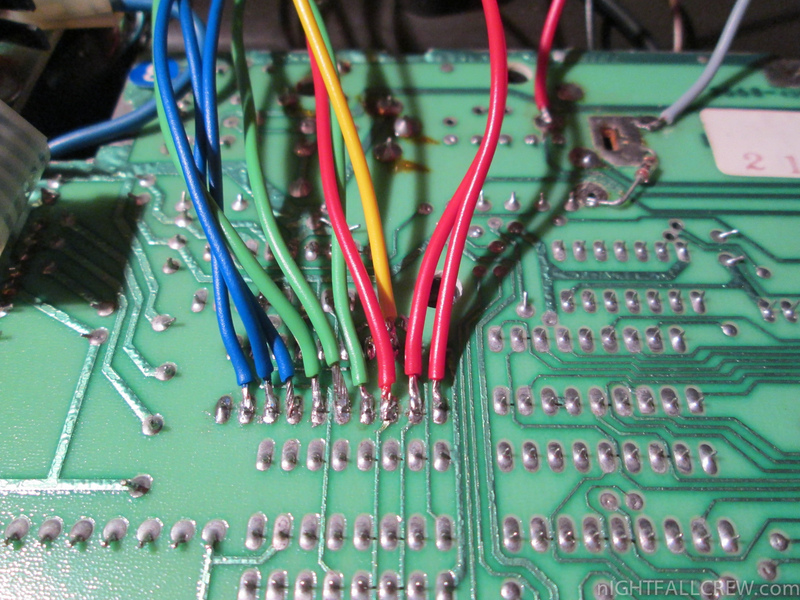 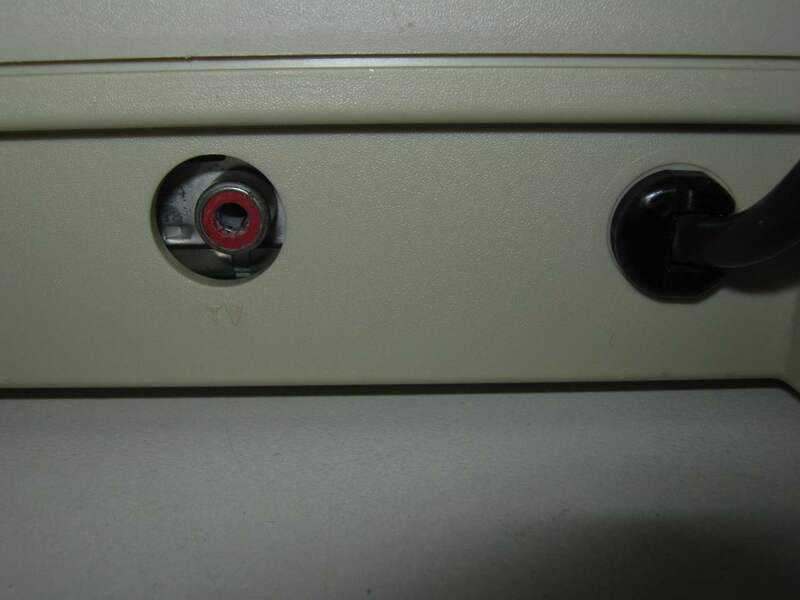 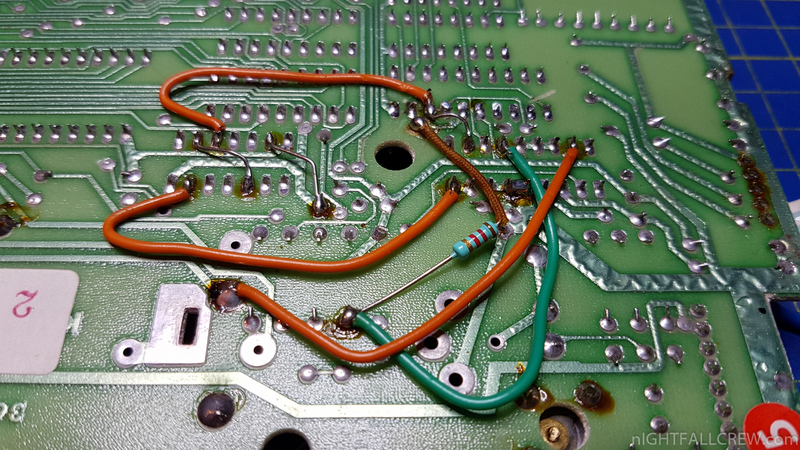 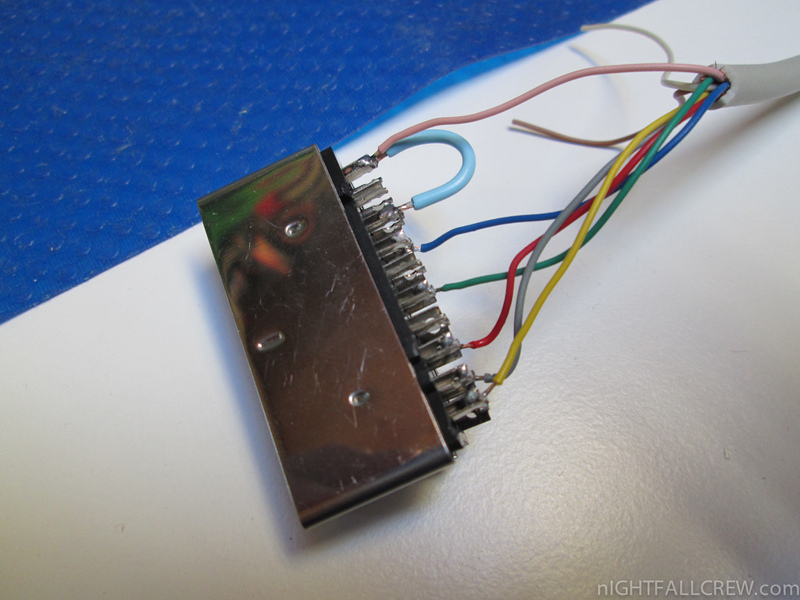 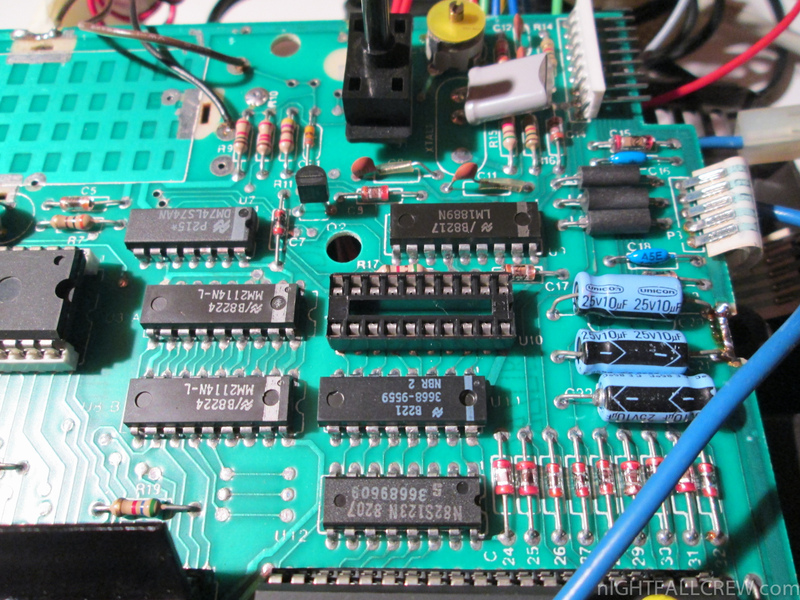 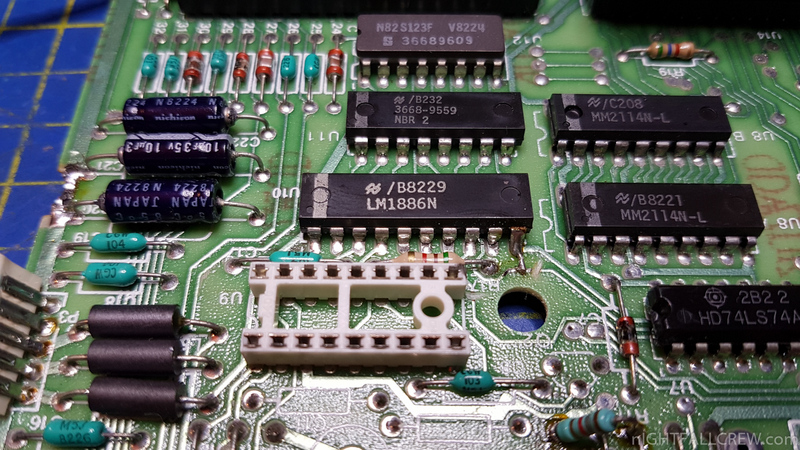 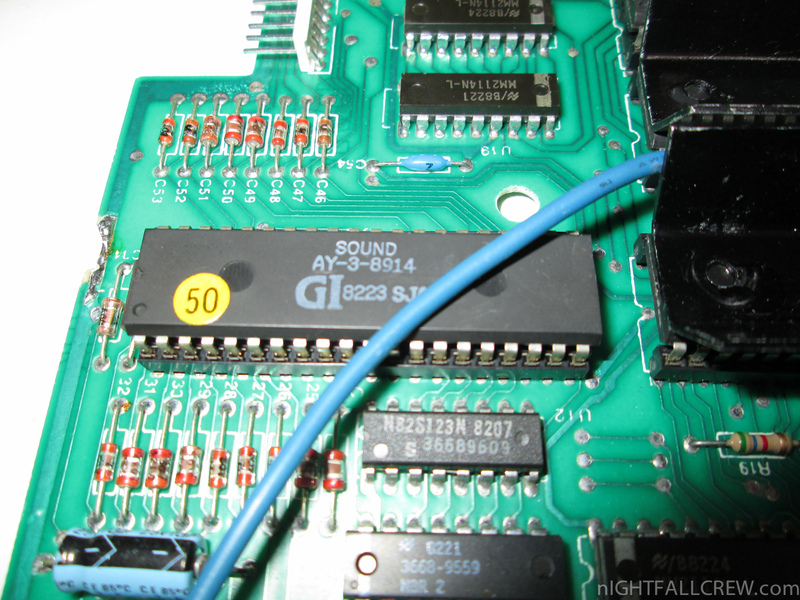 Typical composite video inputs have an input impedance of 75Ω. 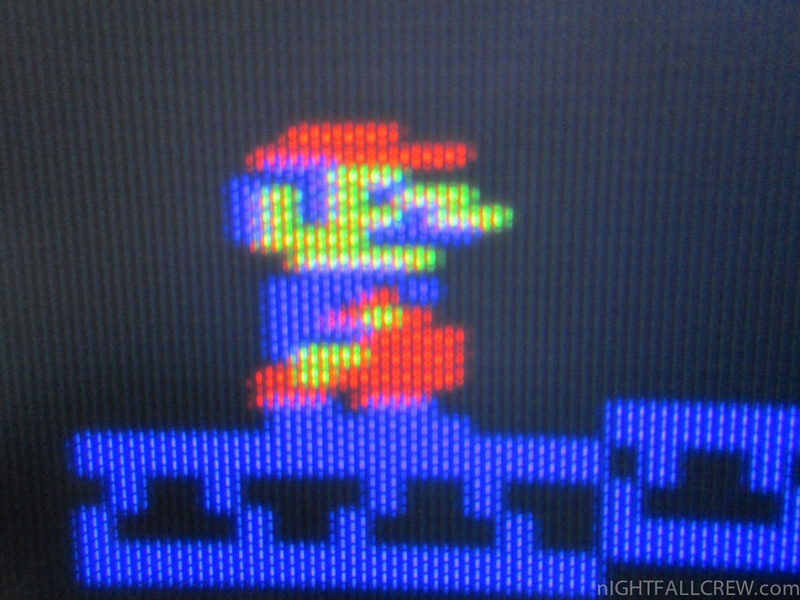 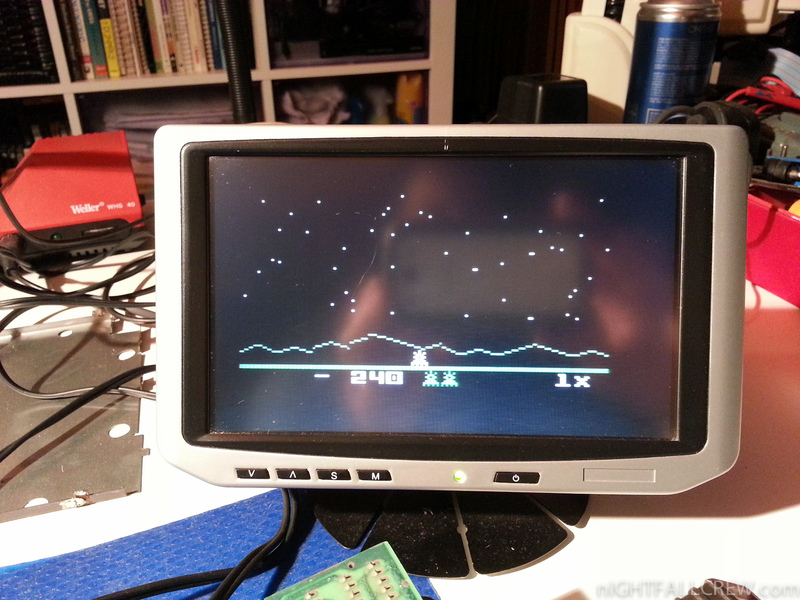 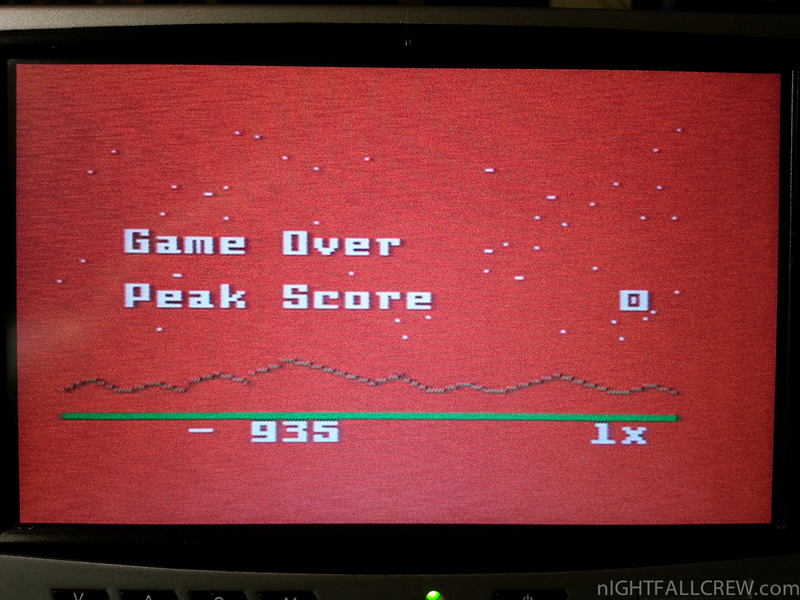 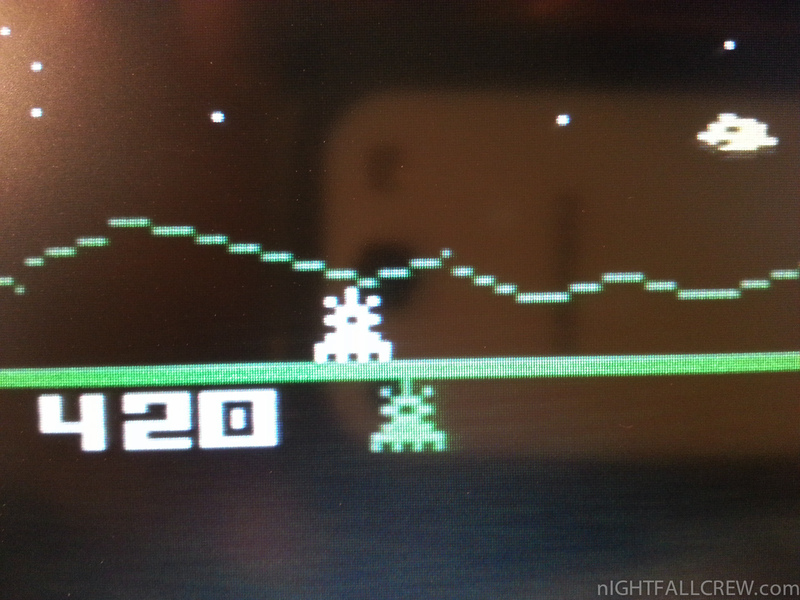 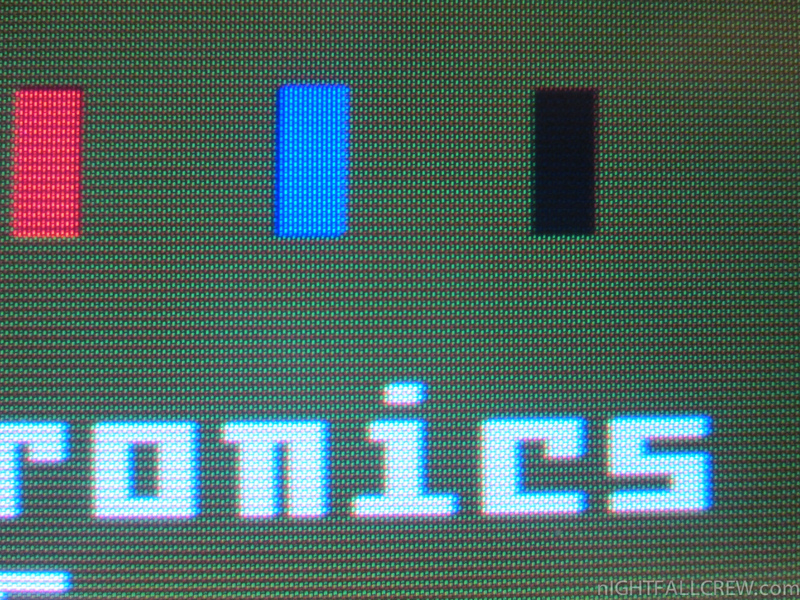 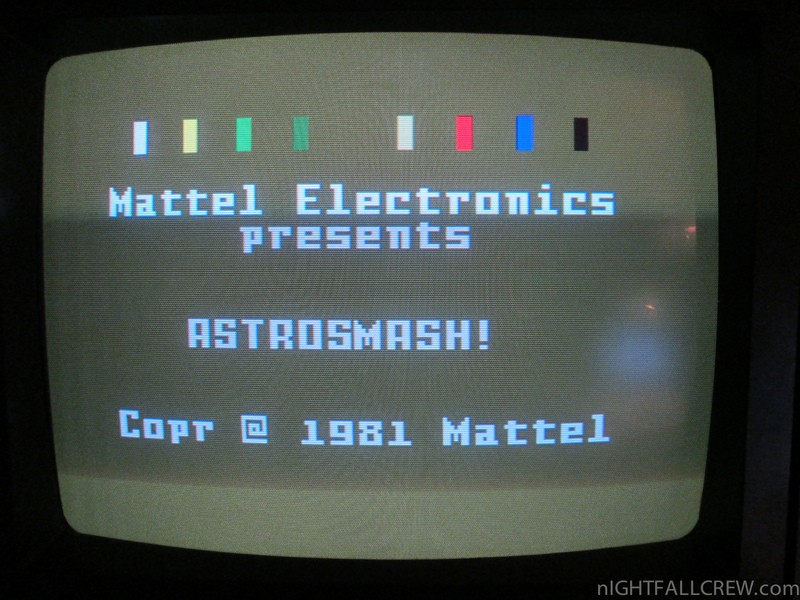 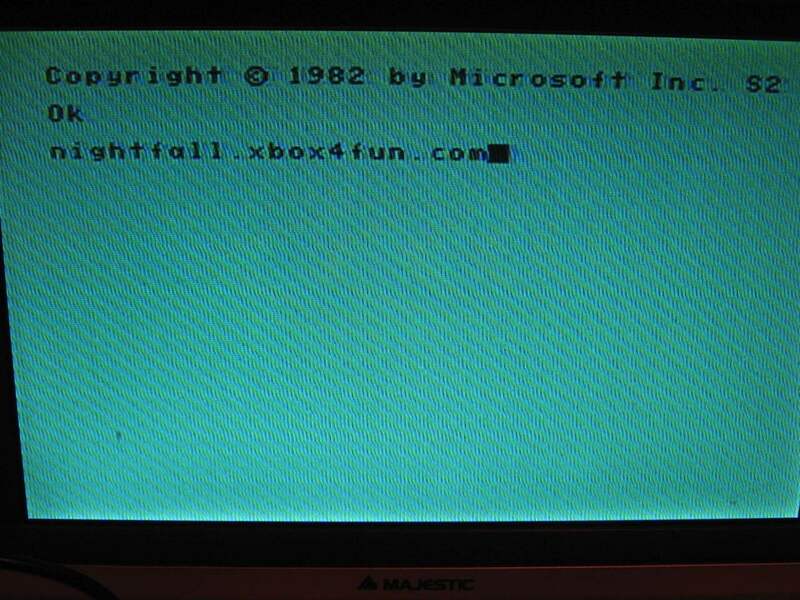 In contrast, the composite signal generated by the Intellivision has a very high output impedance. 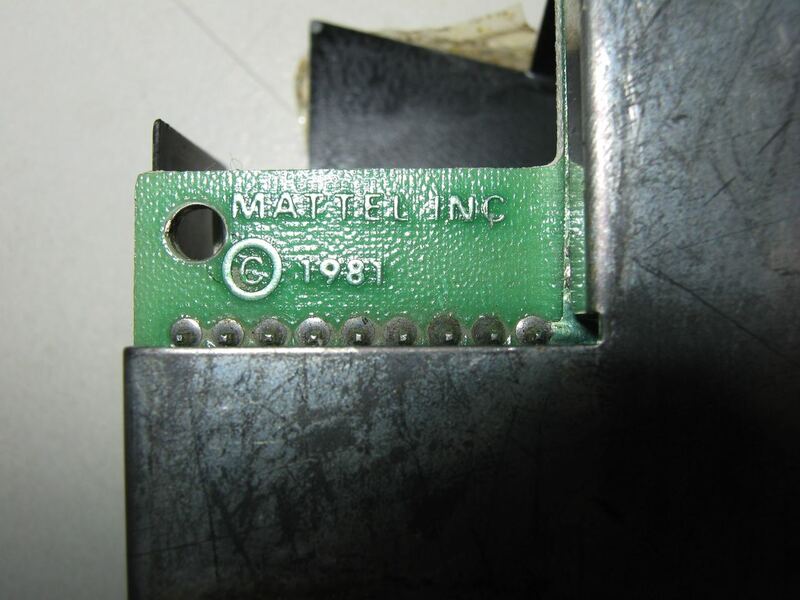 (We estimate the output impedance is around 2KΩ.) 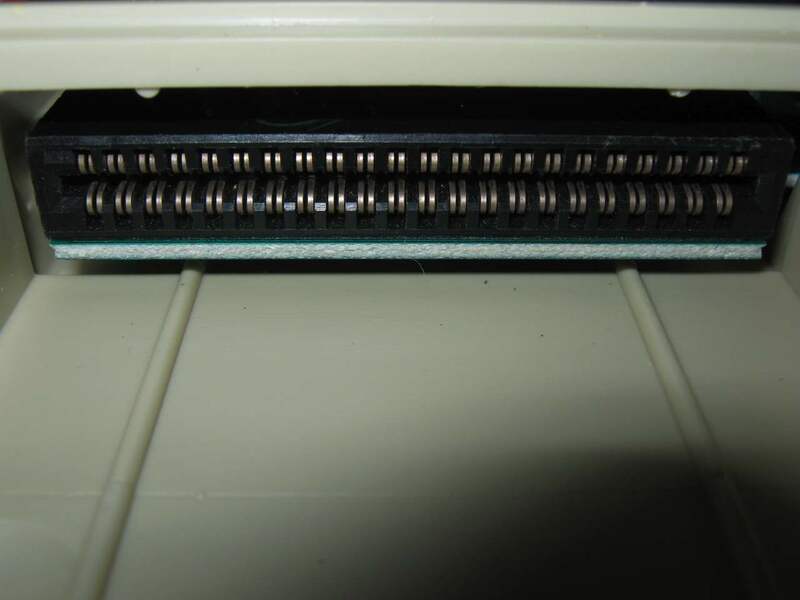 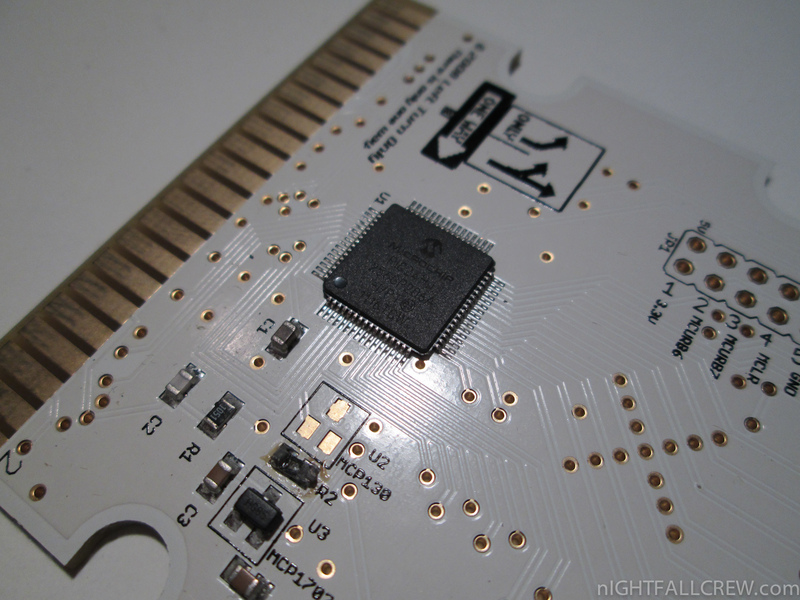 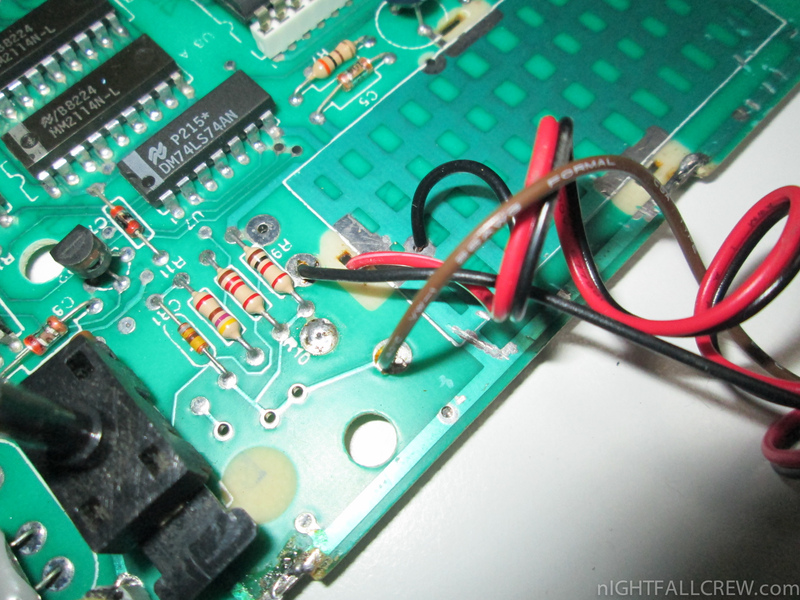 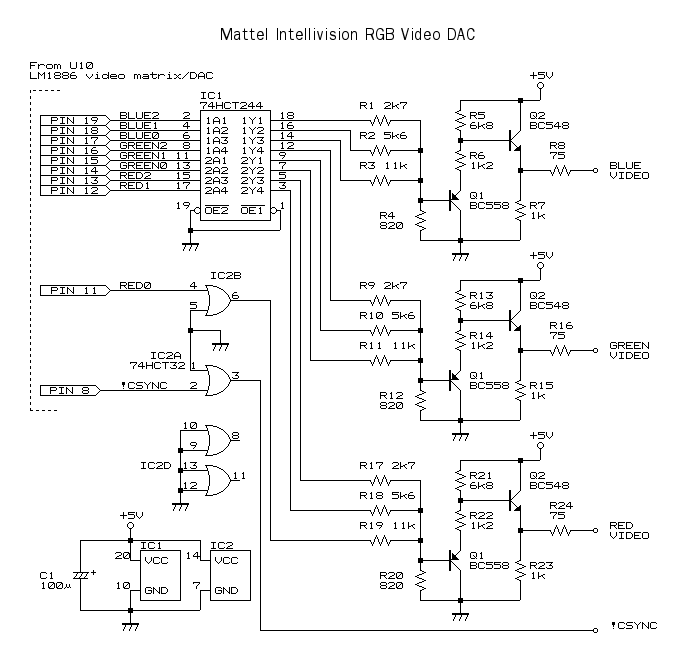 Tapping this output and feeding it directly into a typical composite monitor does not work. 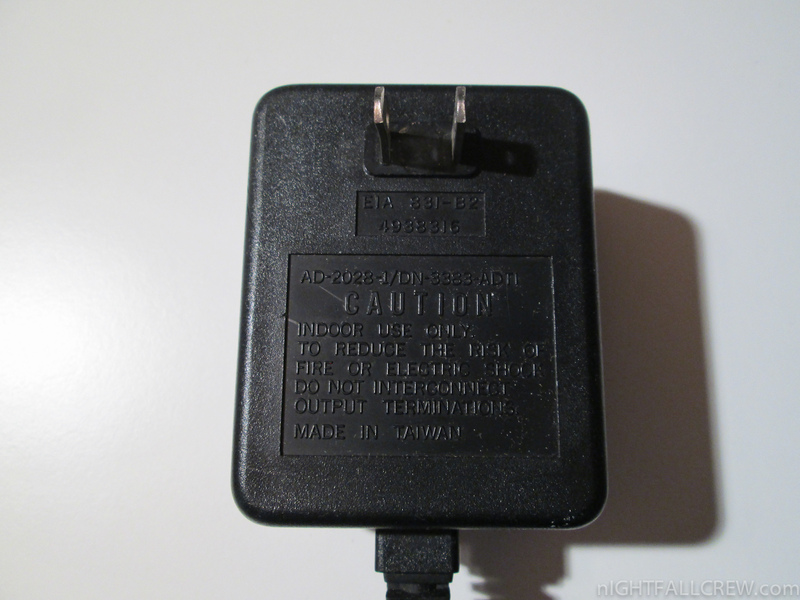 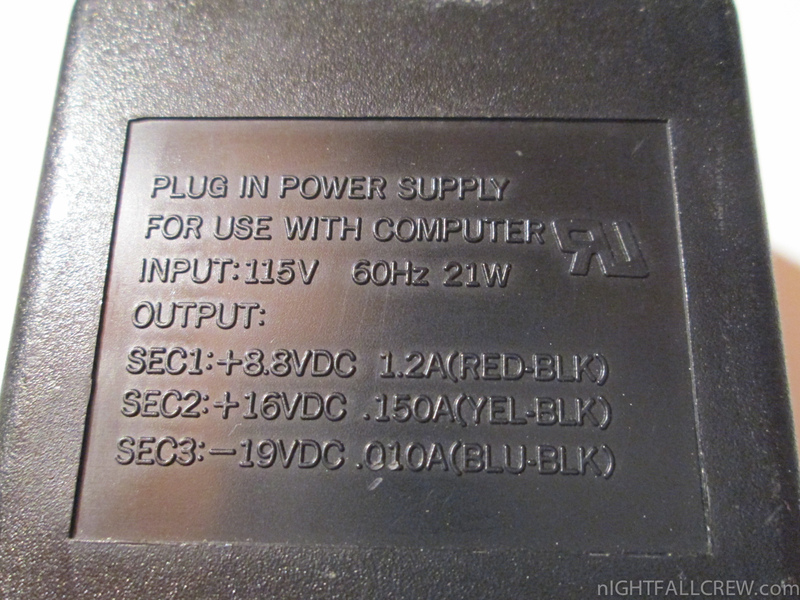 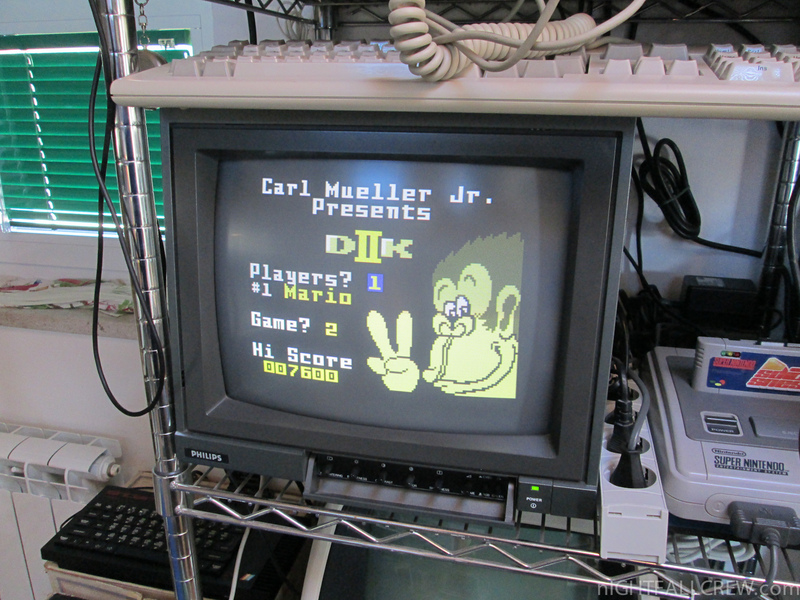 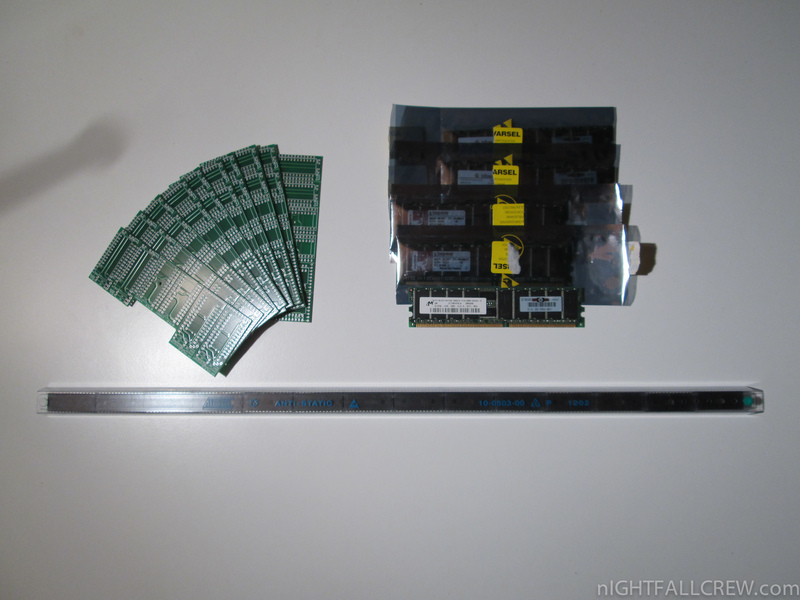 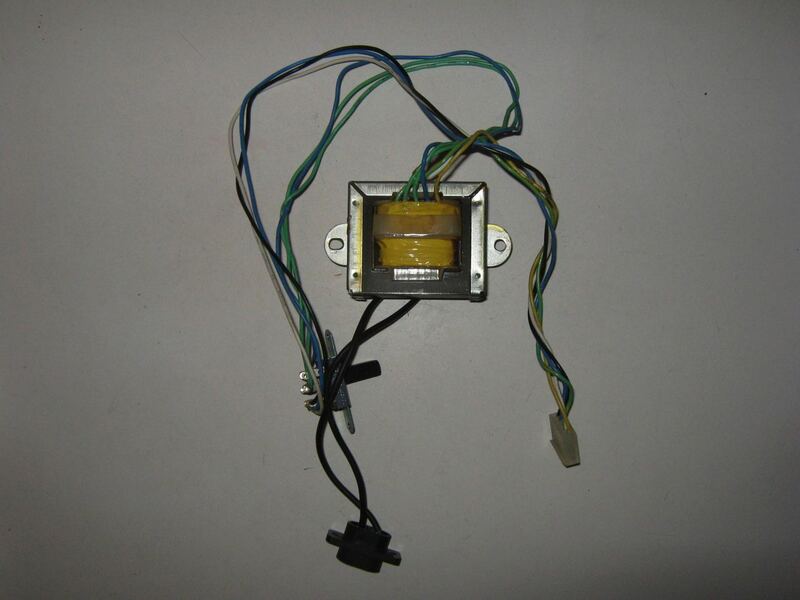 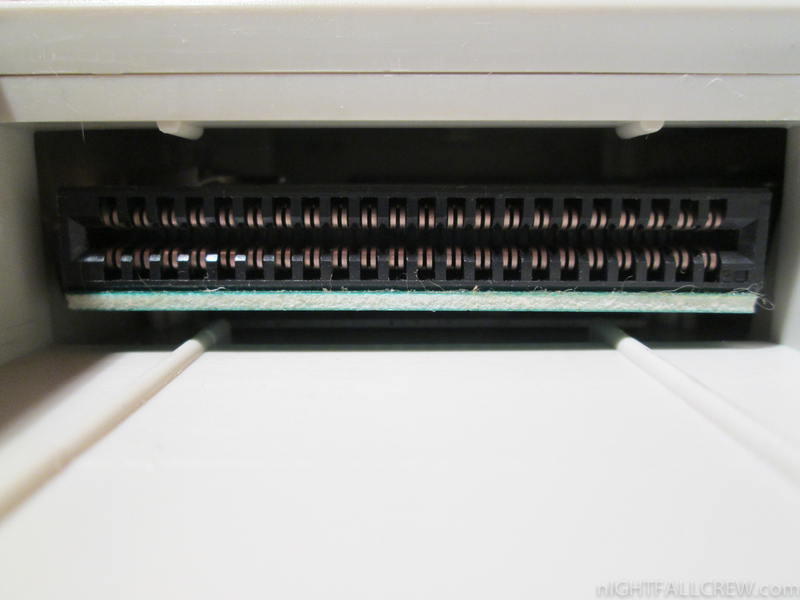 (It will work if your monitor has a “high impedance” input, but such monitors are atypical.) 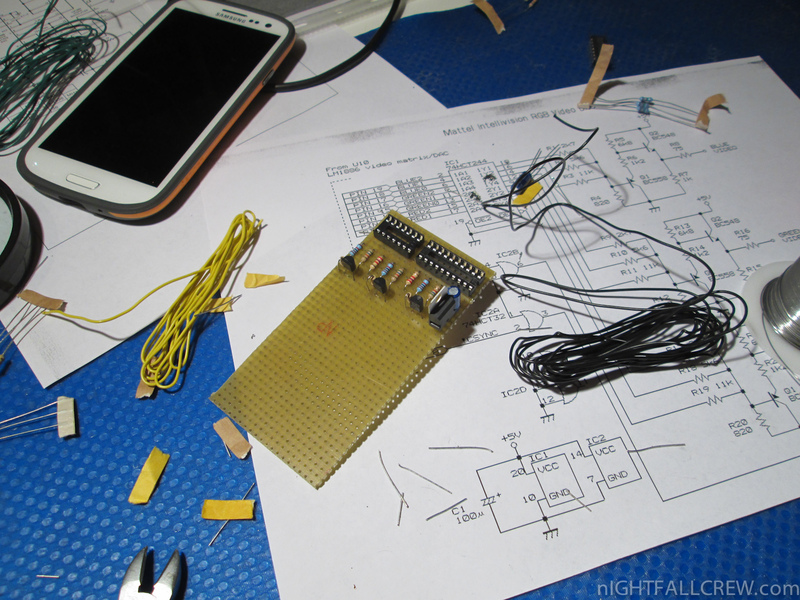 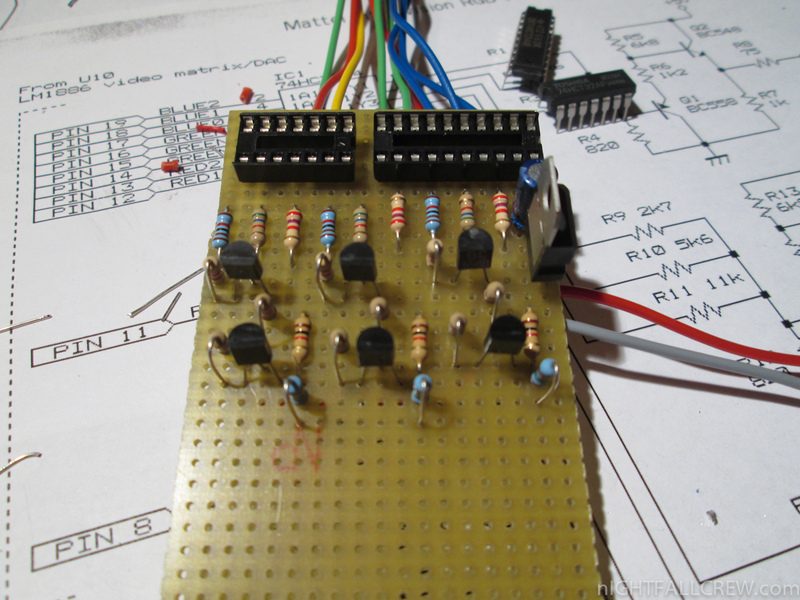 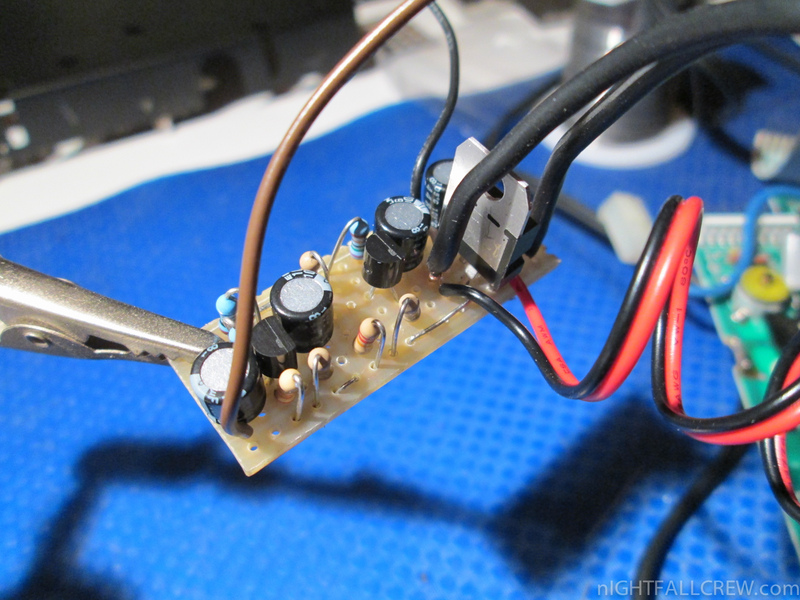 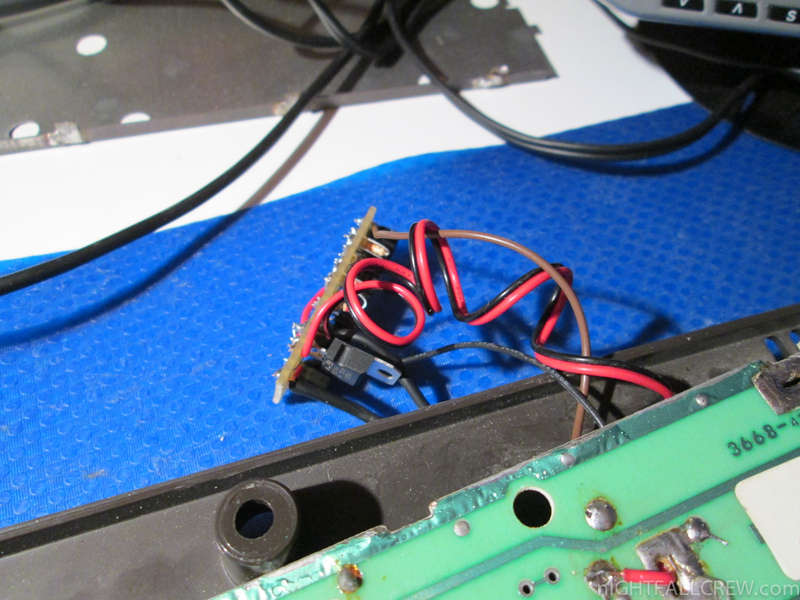 Thus, an amplifier/impedance matching circuit is necessary. 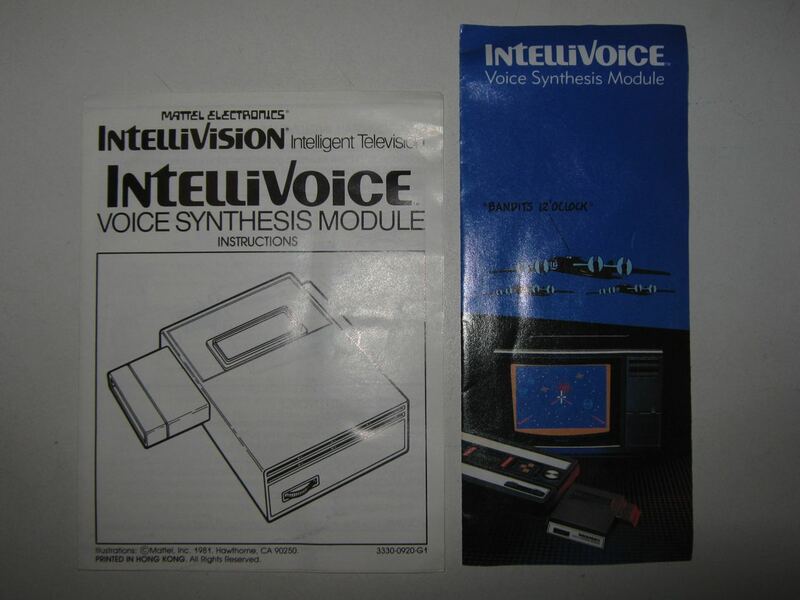 It is also possible to tap the audio the Intellivision generates. 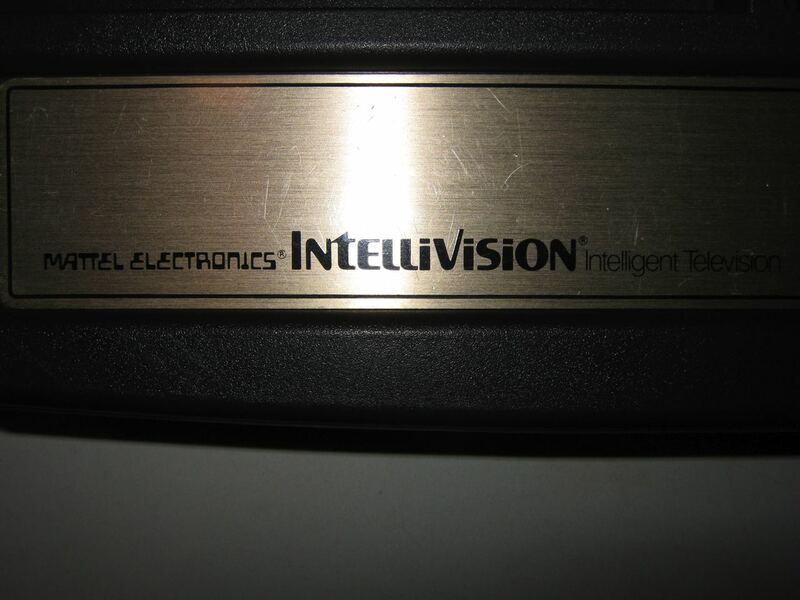 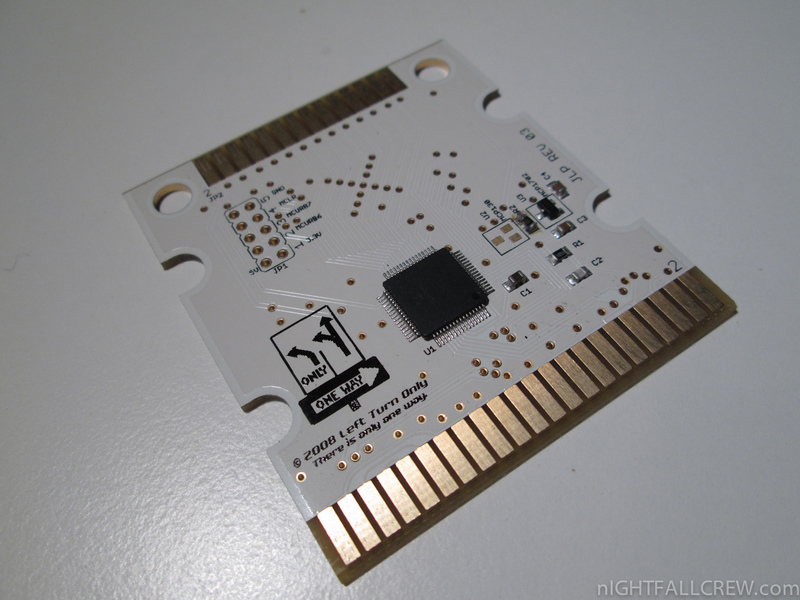 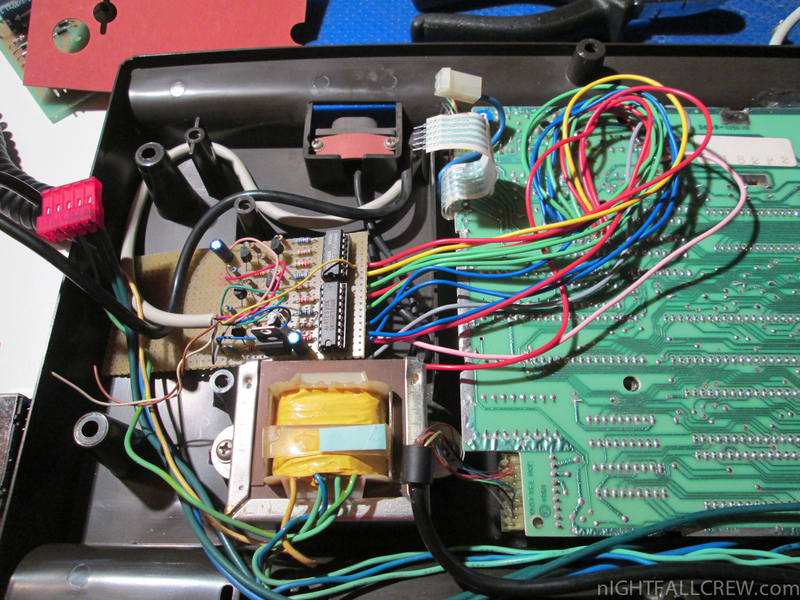 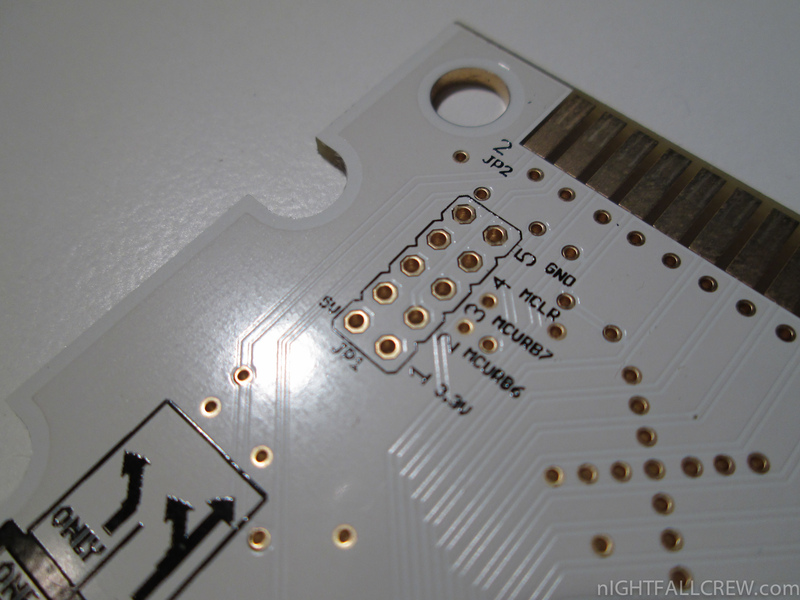 The audio output by the Intellivision is nearly directly suitable for feeding line-level inputs on most AV equipment. 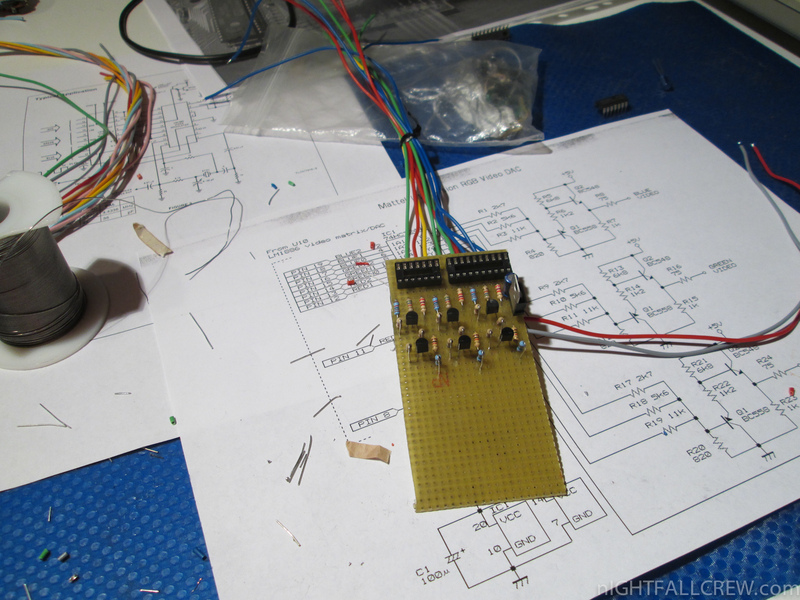 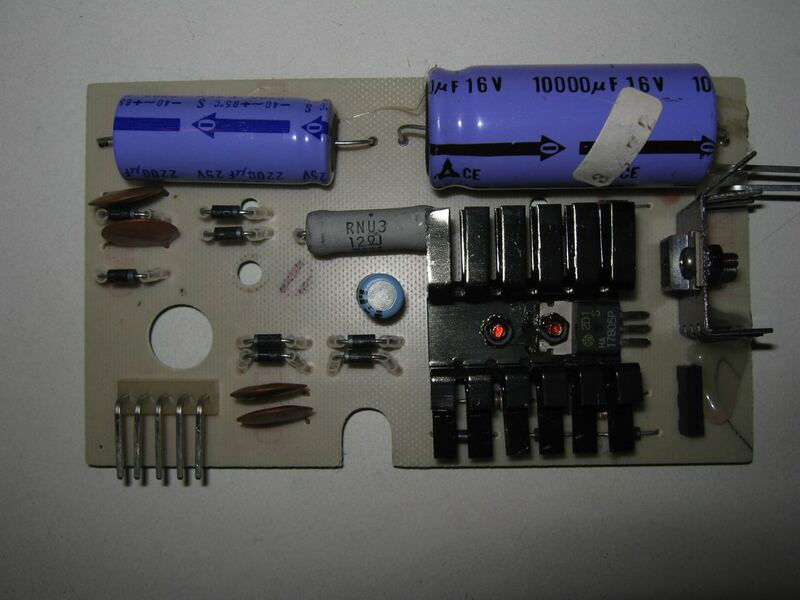 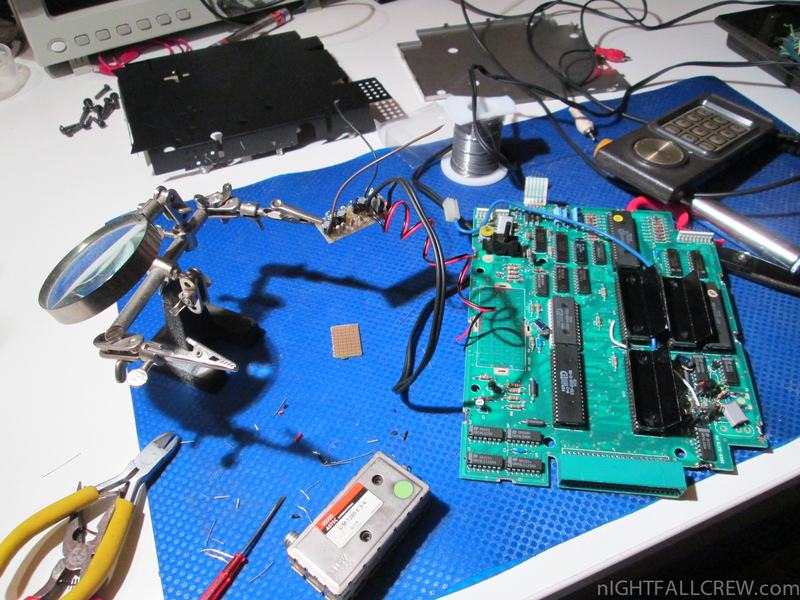 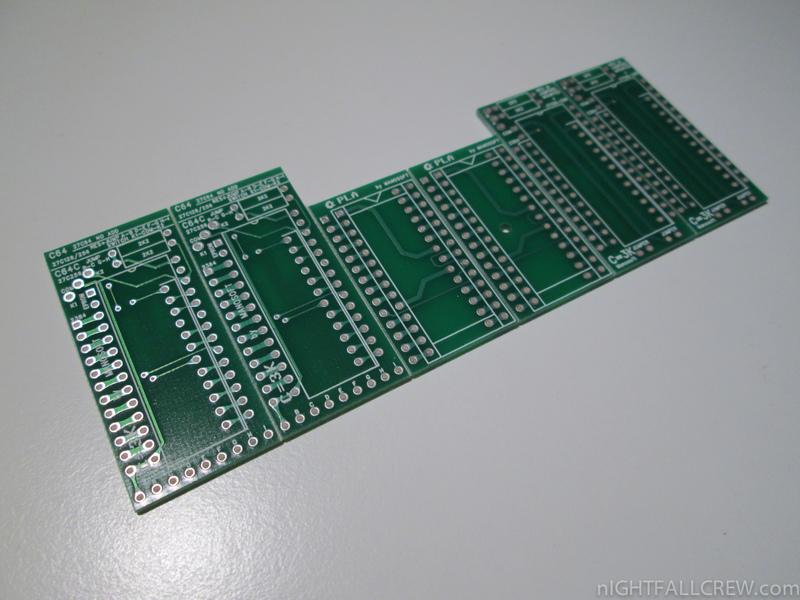 All that’s required is a coupling capacitor. 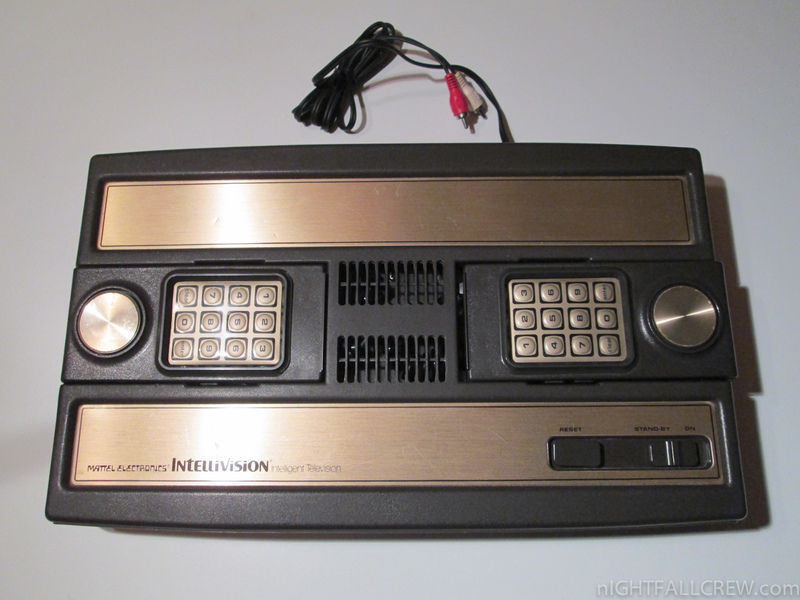 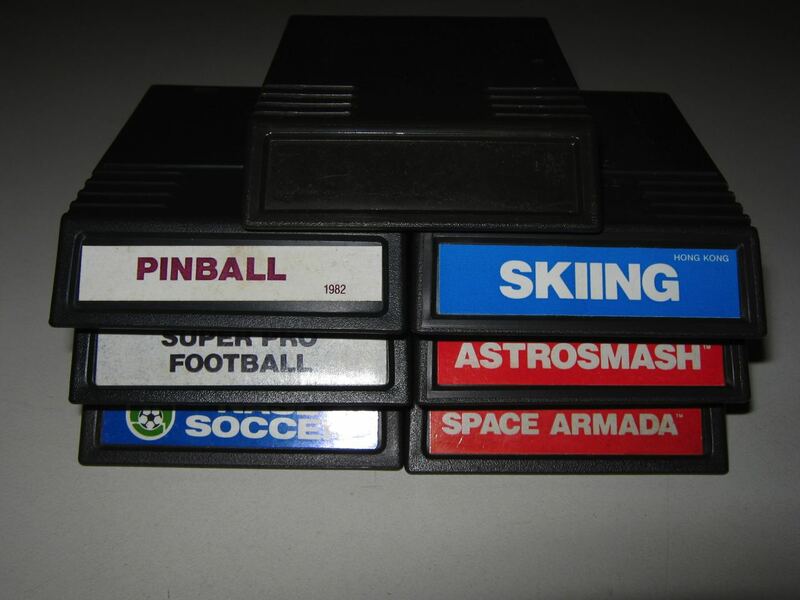 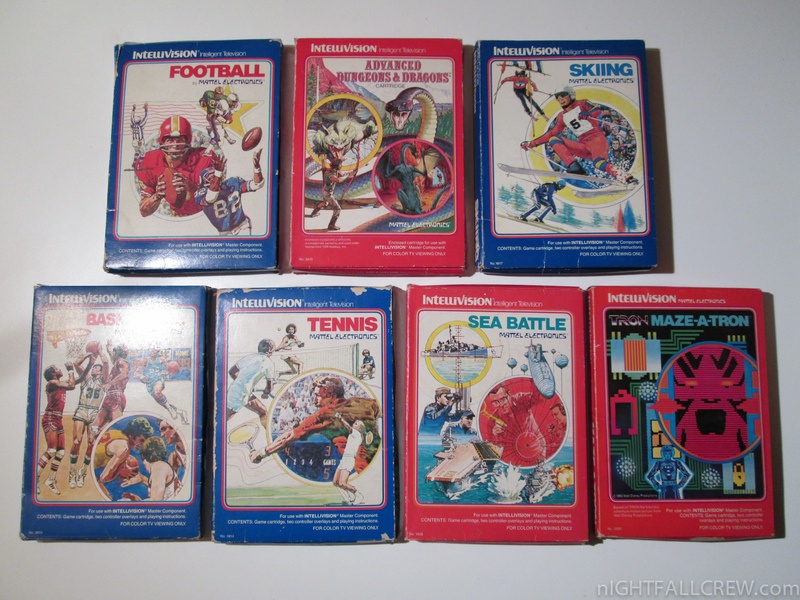 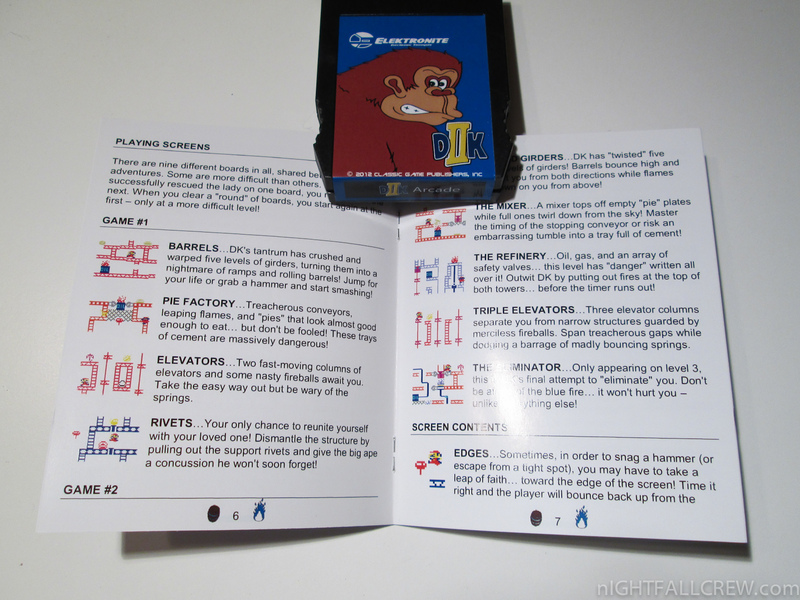 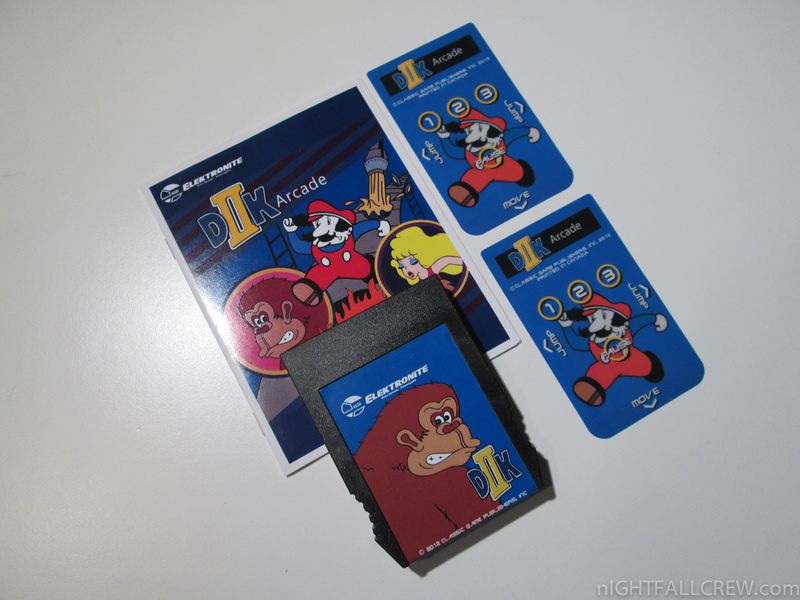 The modification should work equally well on all Intellivision variants, including the Intellivision 1, Intellivision 2, the various rebranded units (Sears, Tandy), and the later INTV releases. 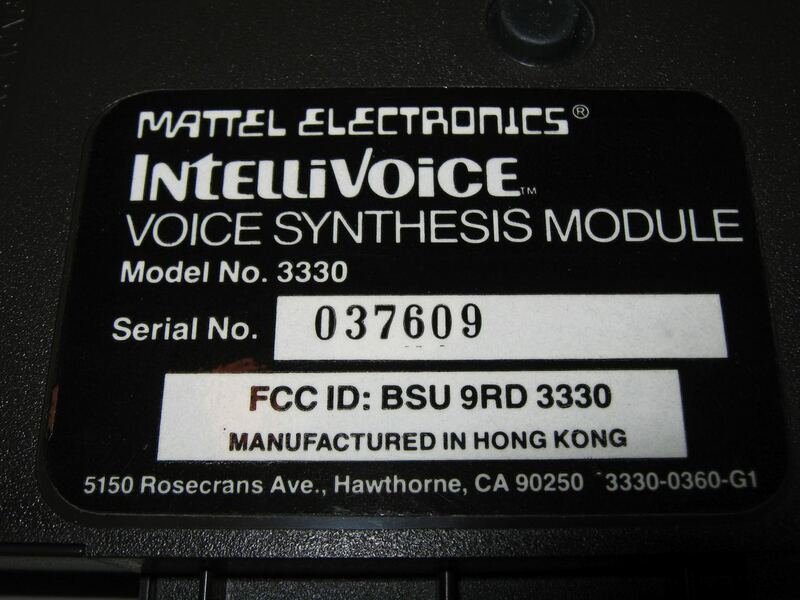 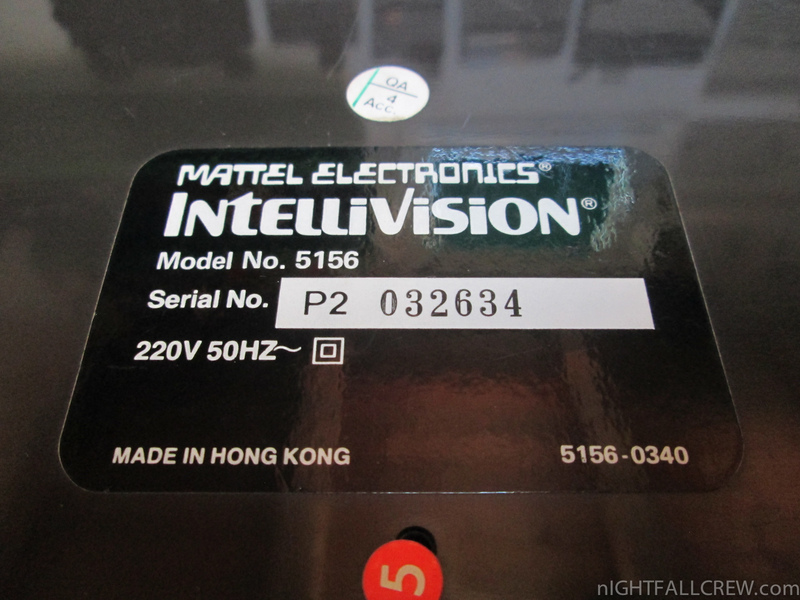 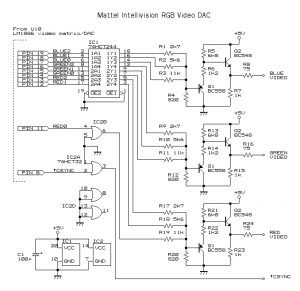 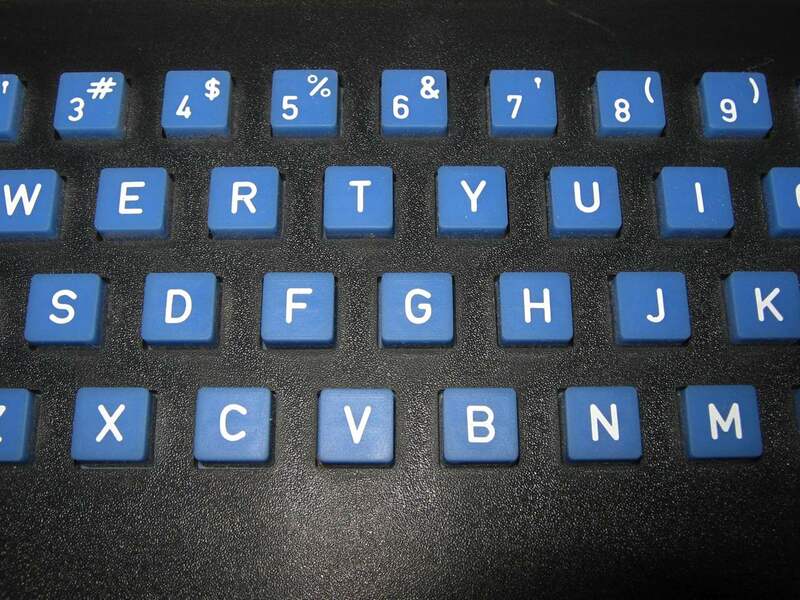 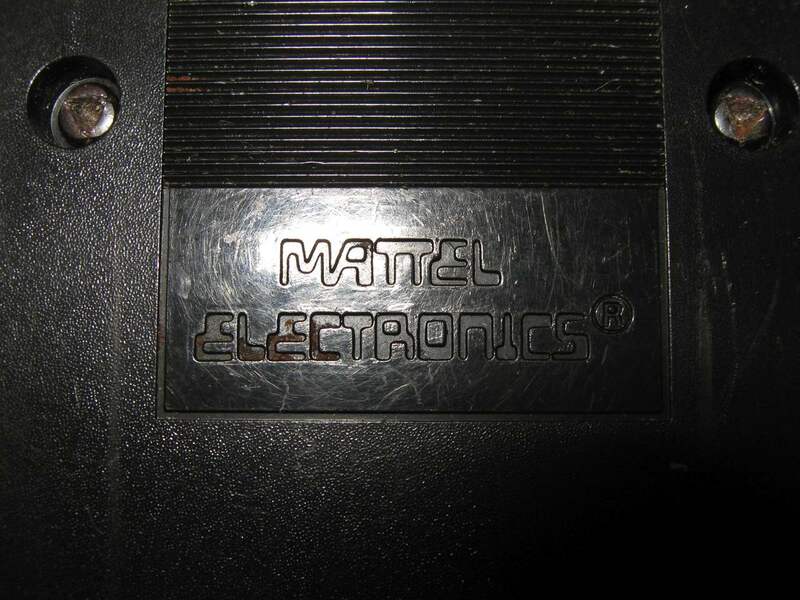 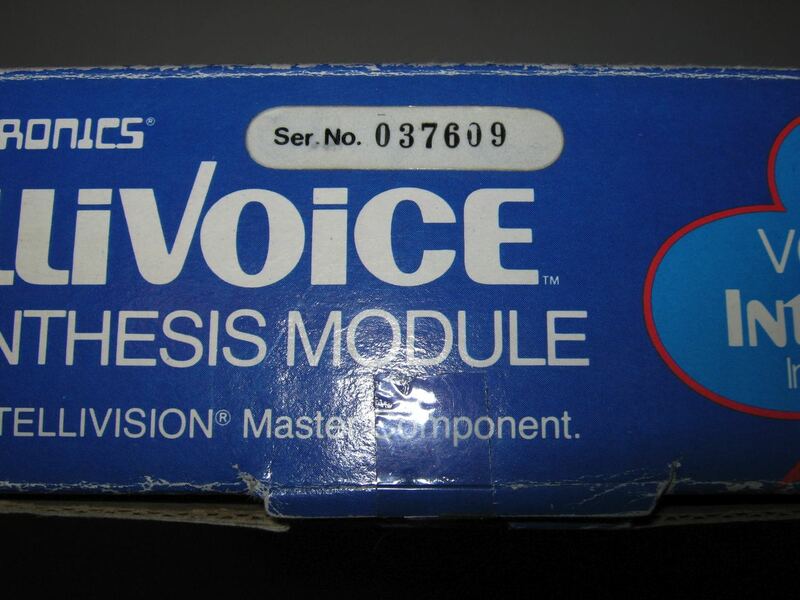 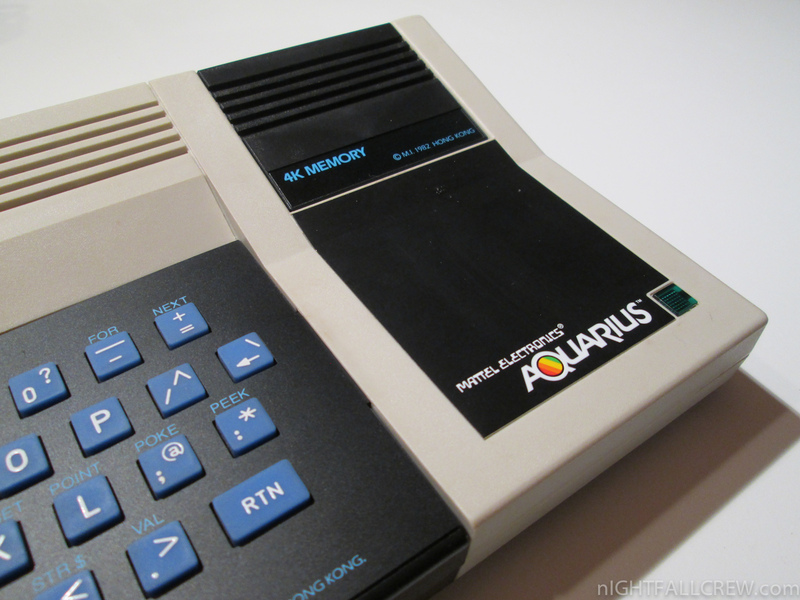 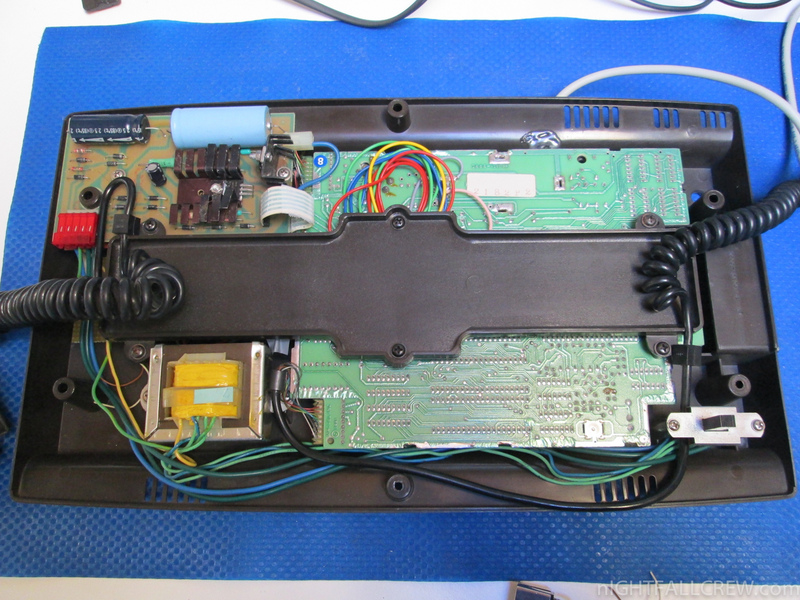 The Intellivoice Voice Synthesis Module was an adapter for the Intellivision, Mattel’s home gaming console, that utilized a voice synthesizer to generate audible speech. 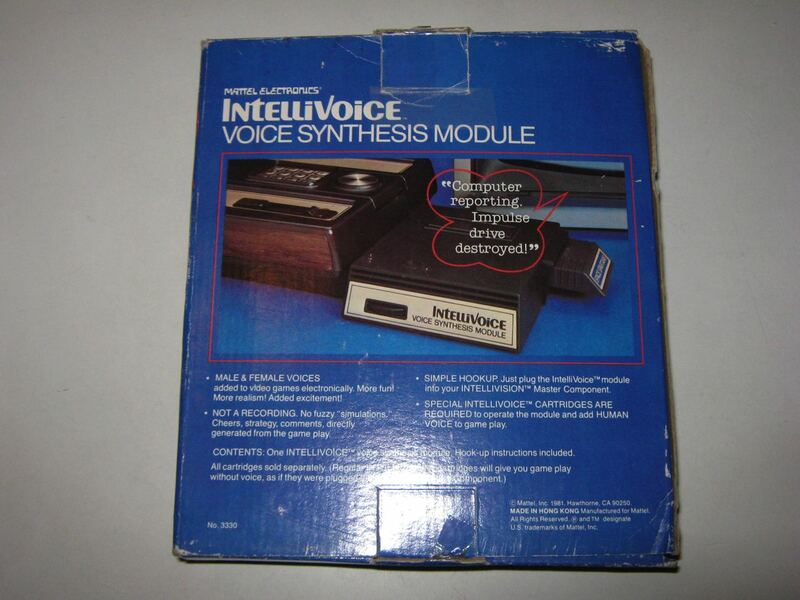 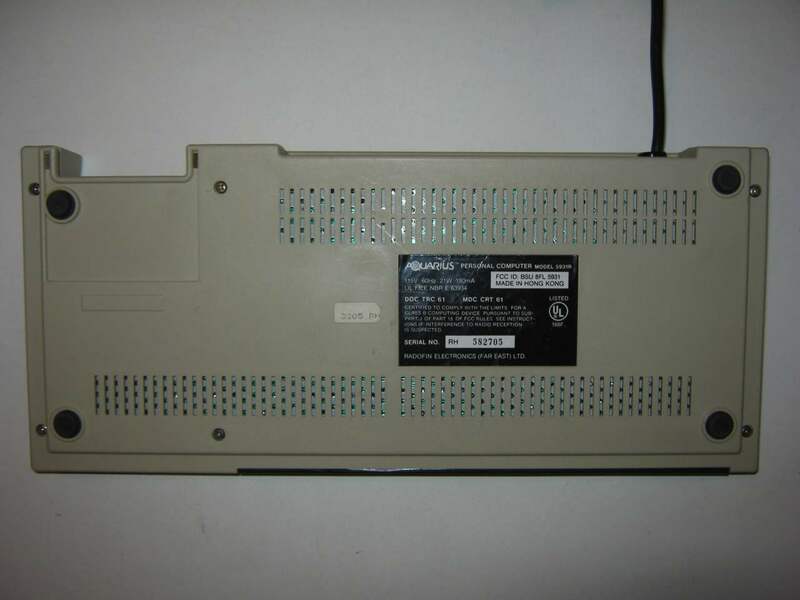 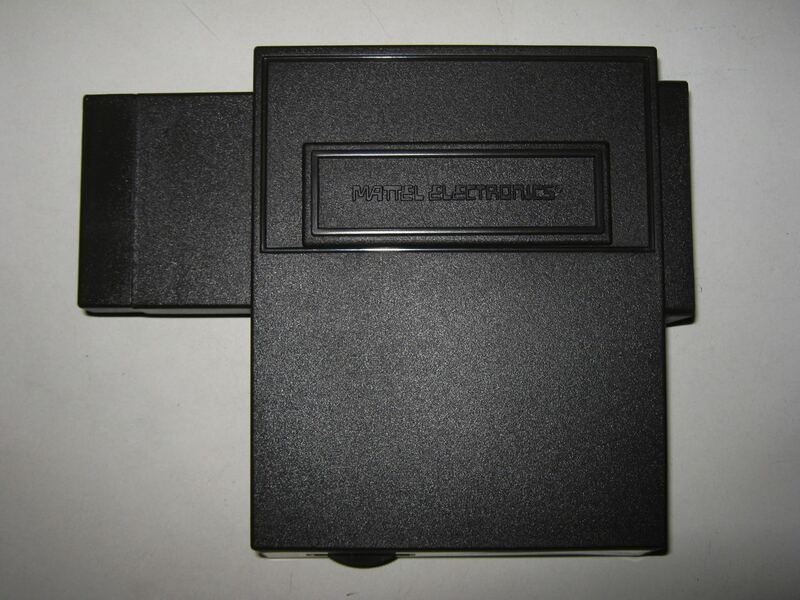 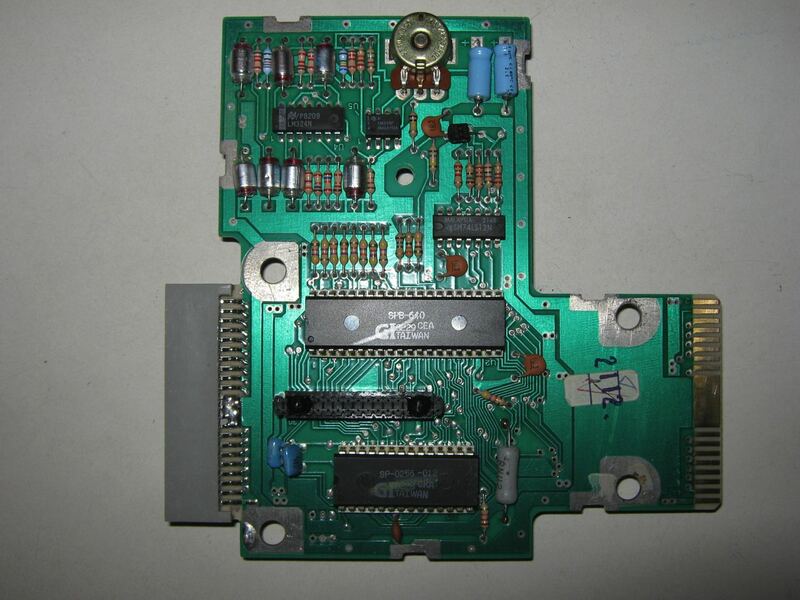 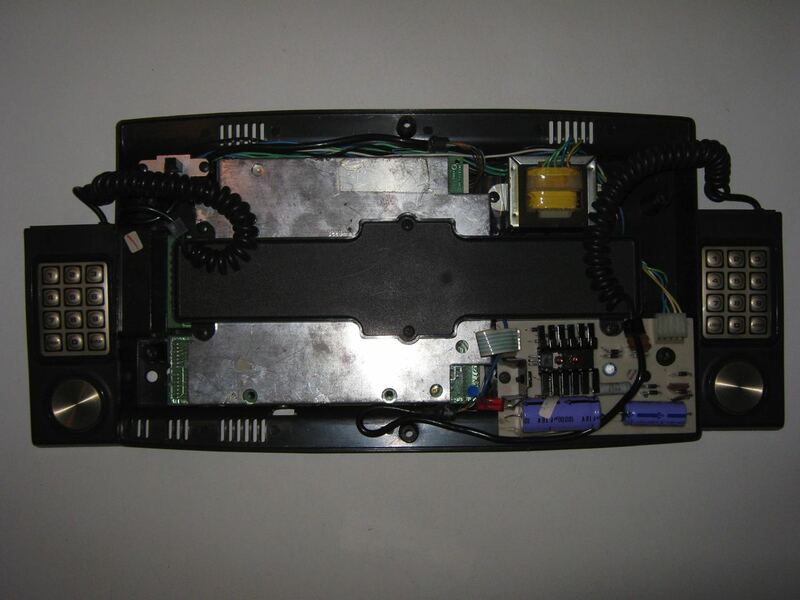 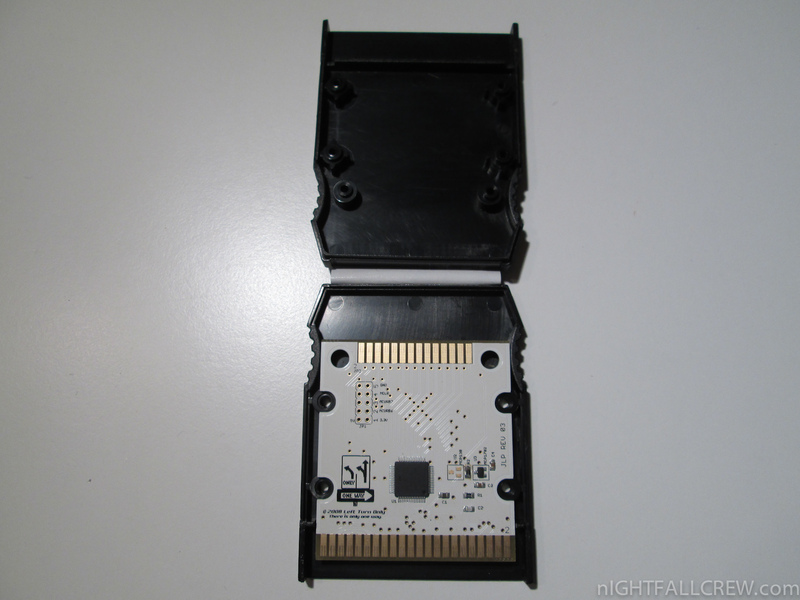 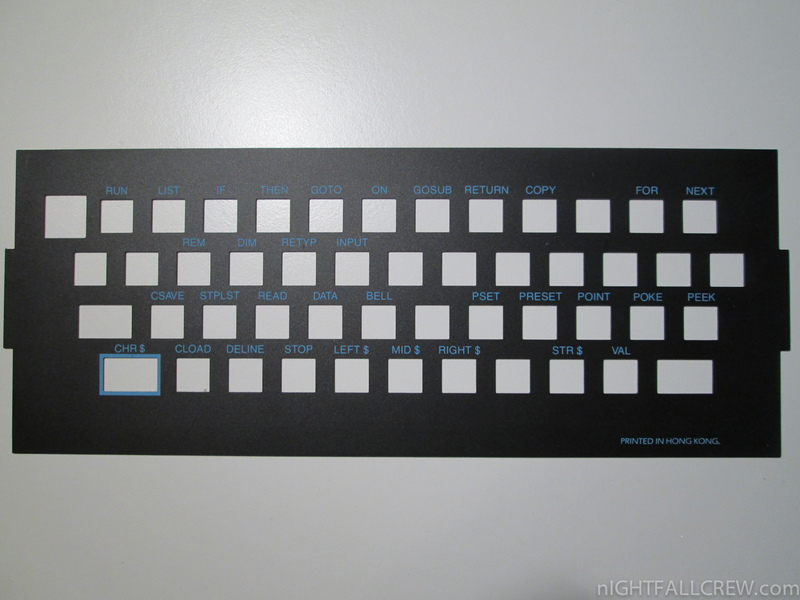 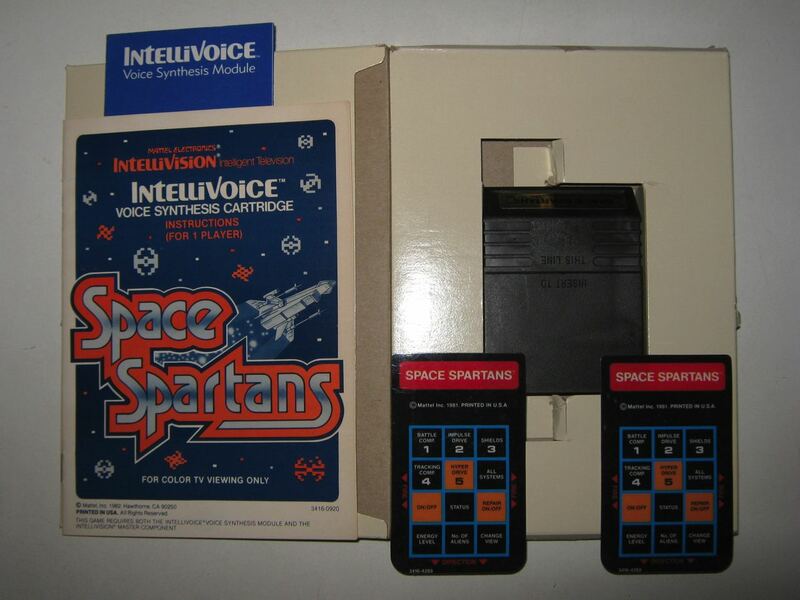 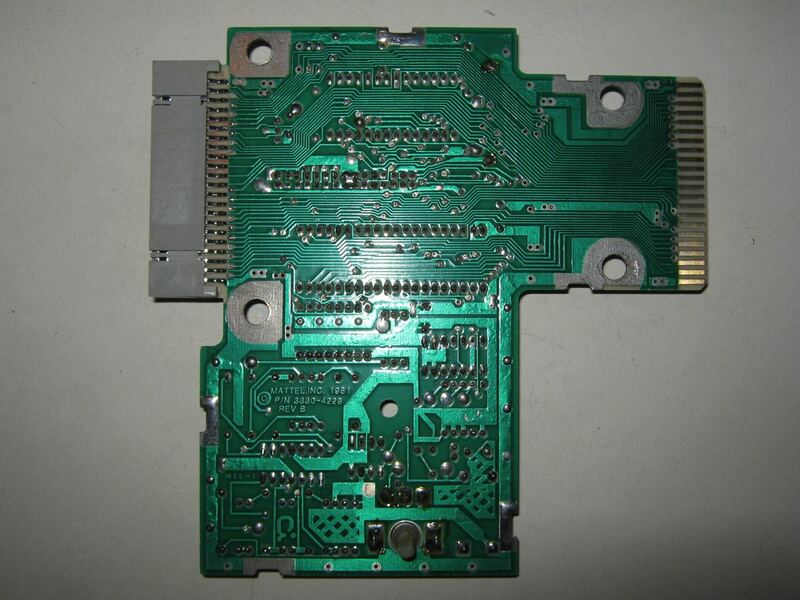 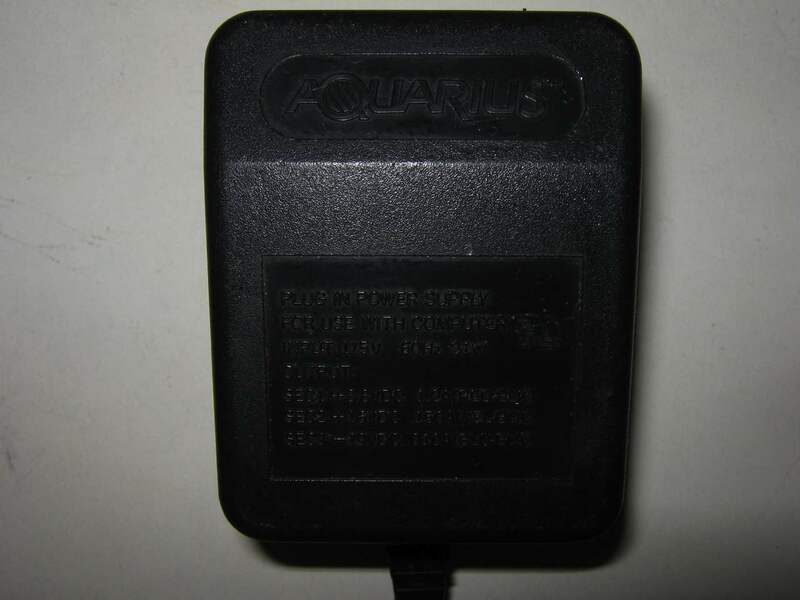 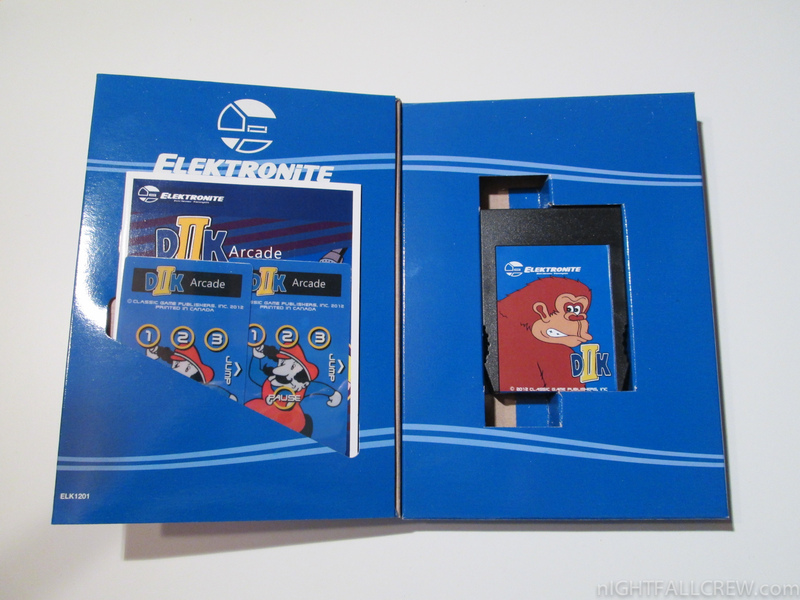 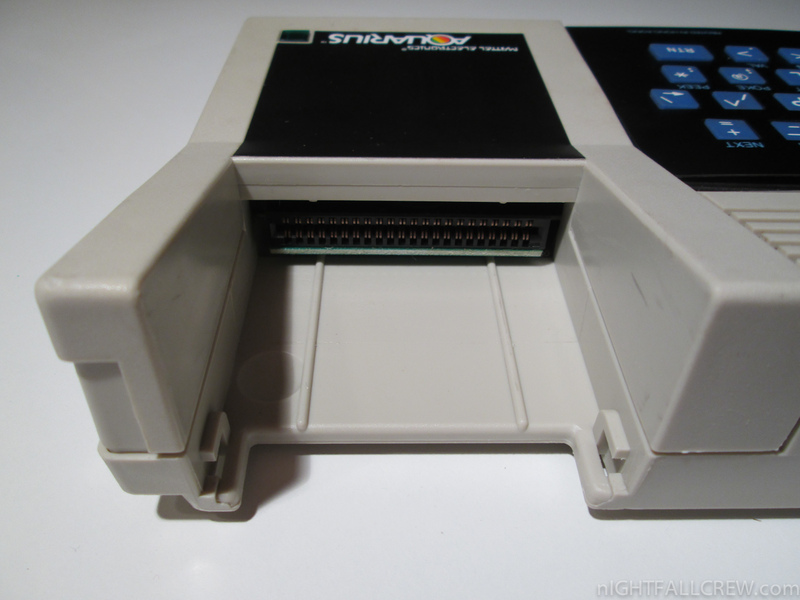 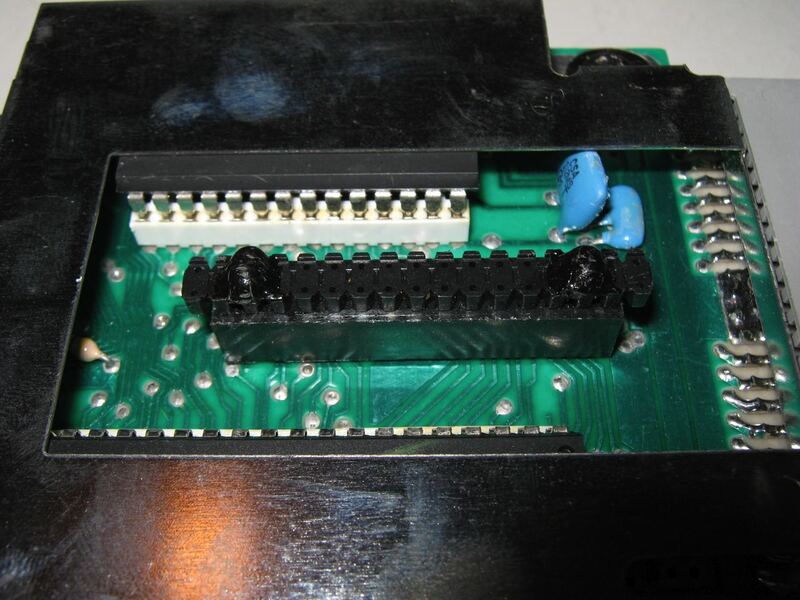 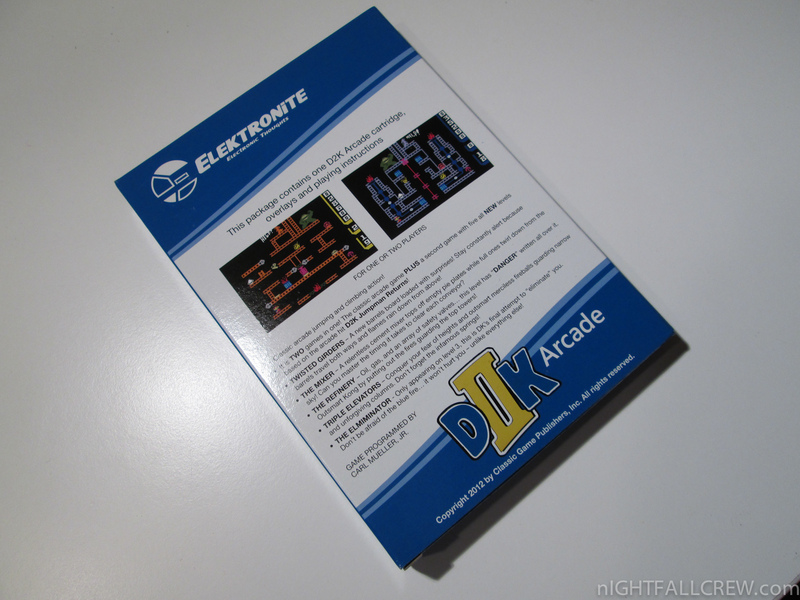 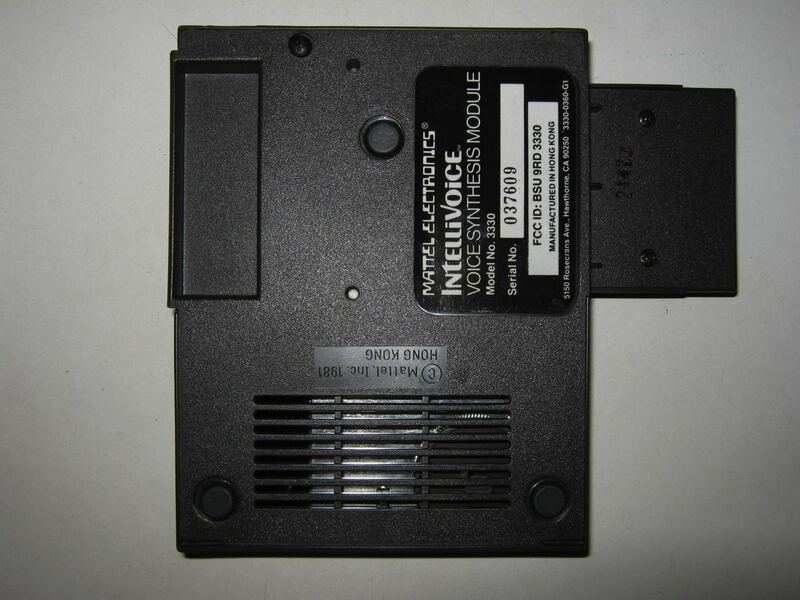 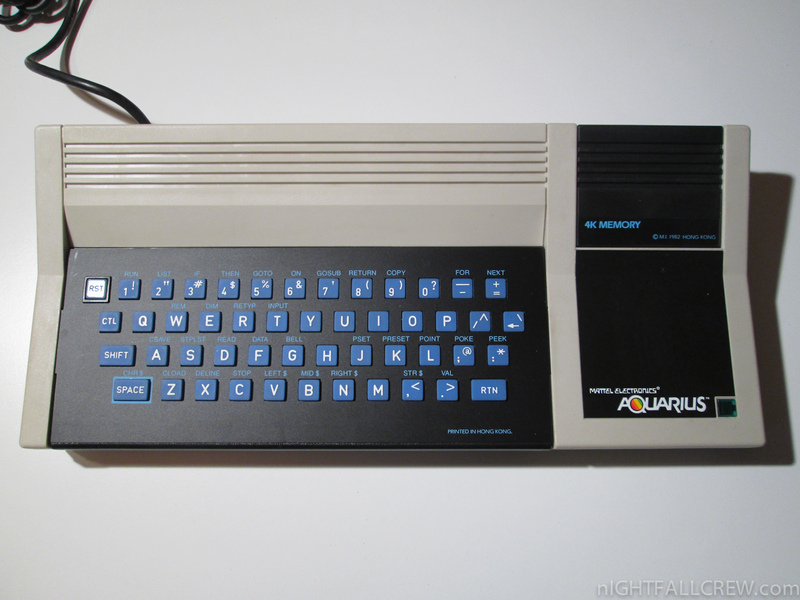 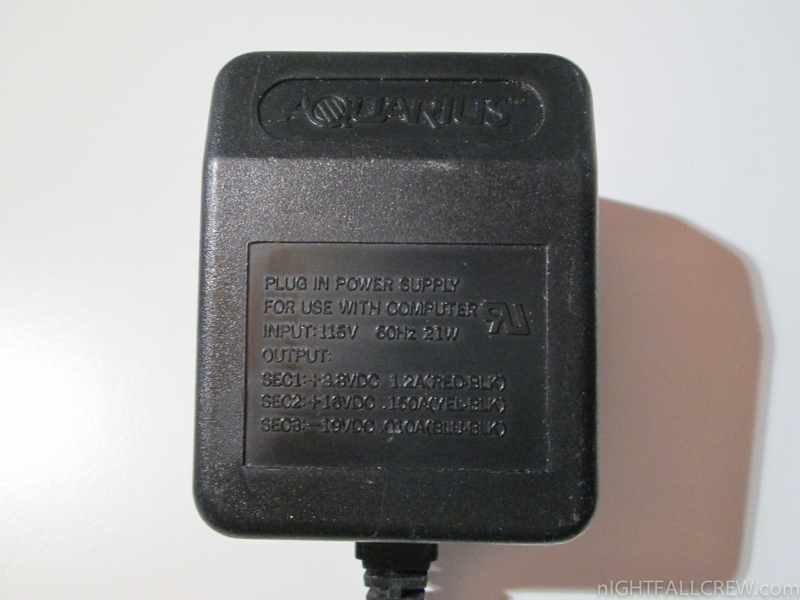 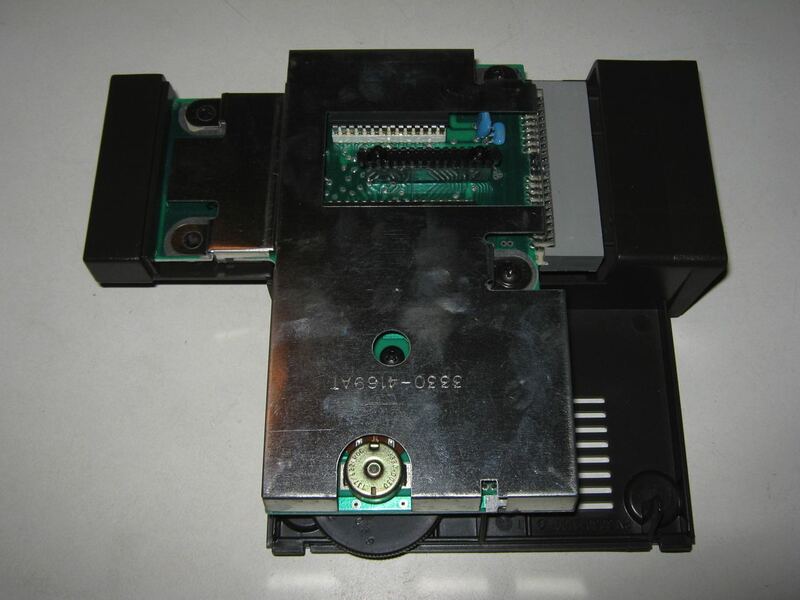 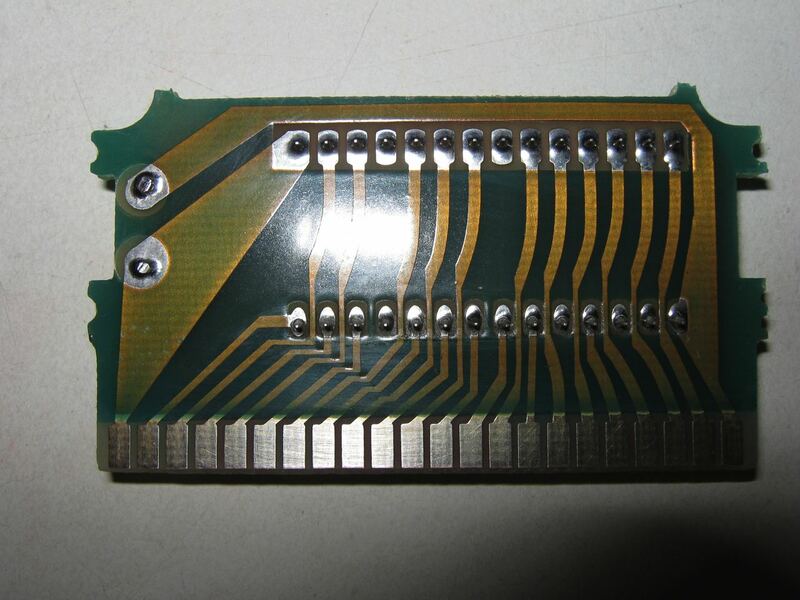 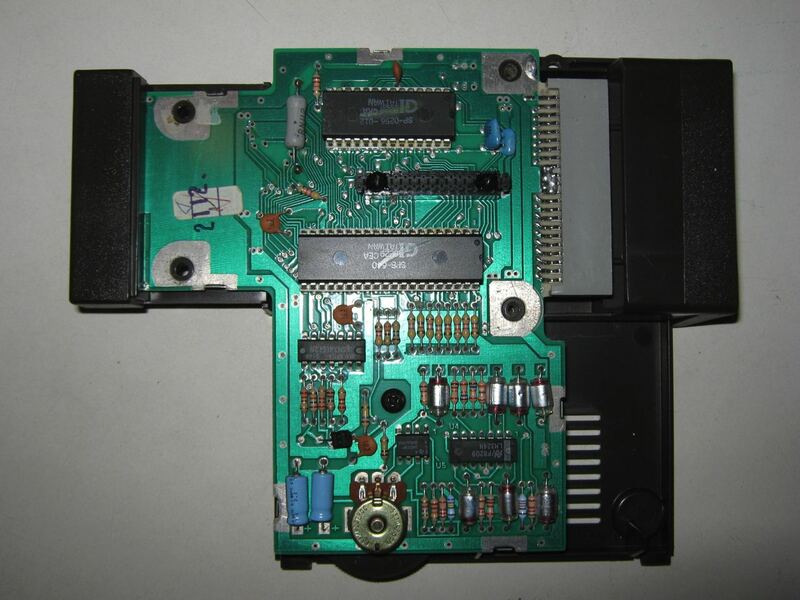 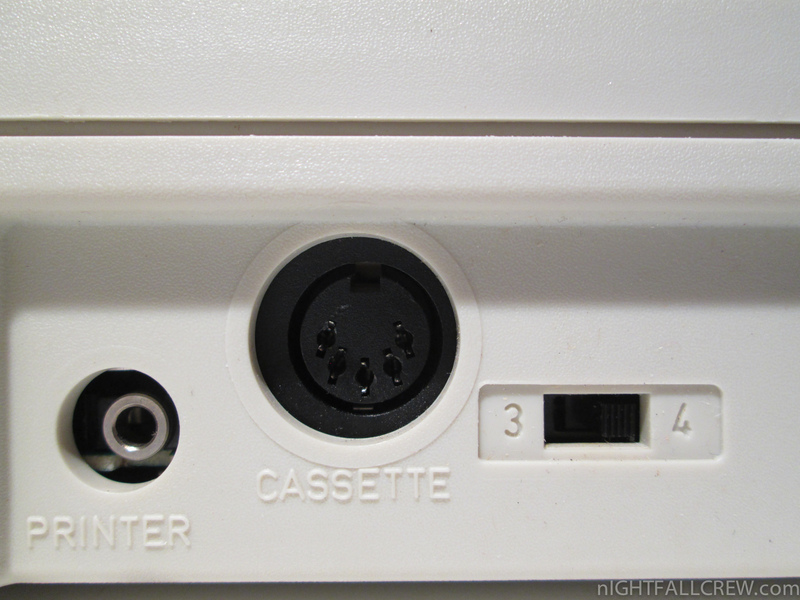 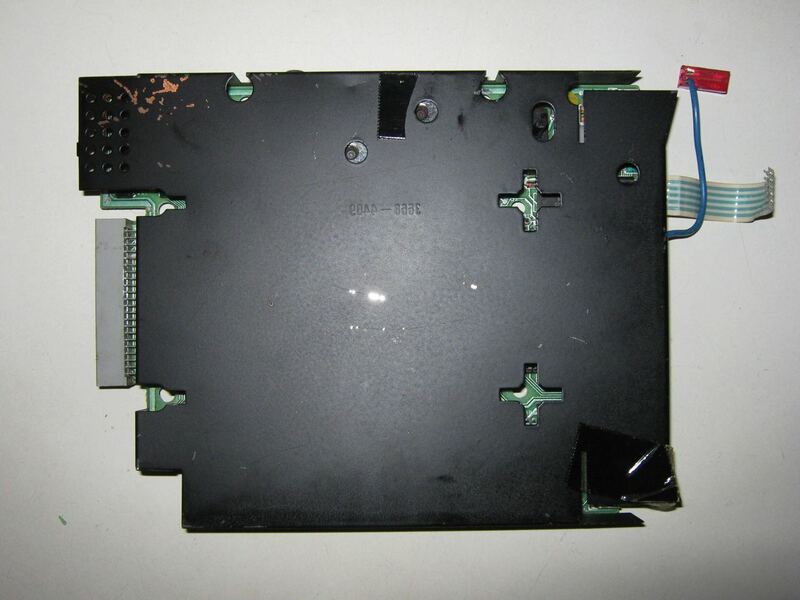 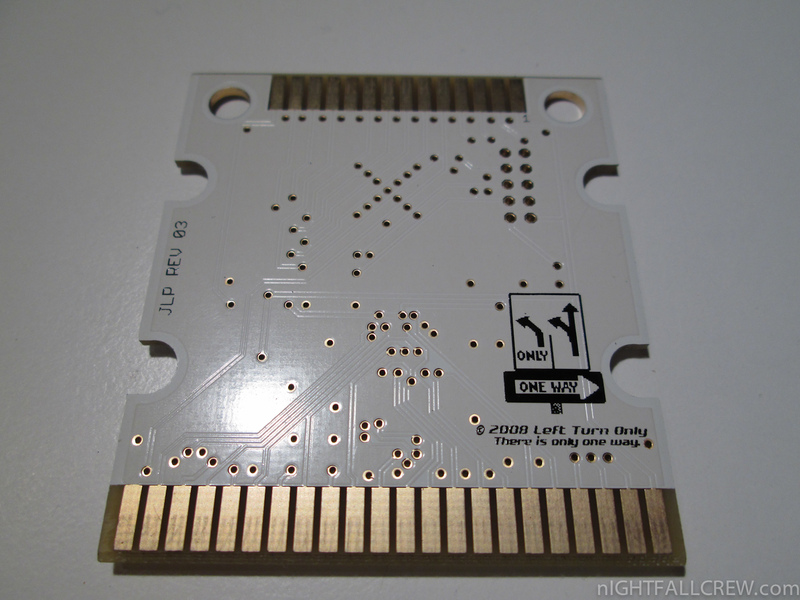 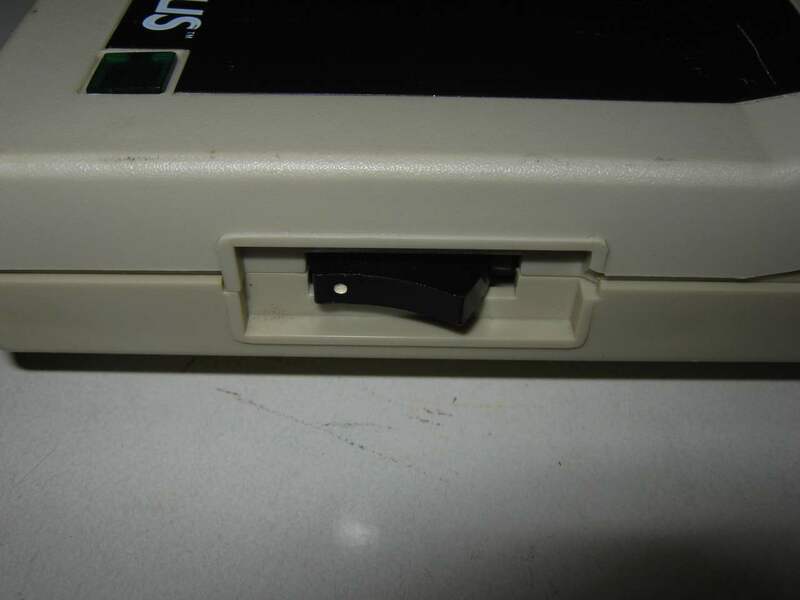 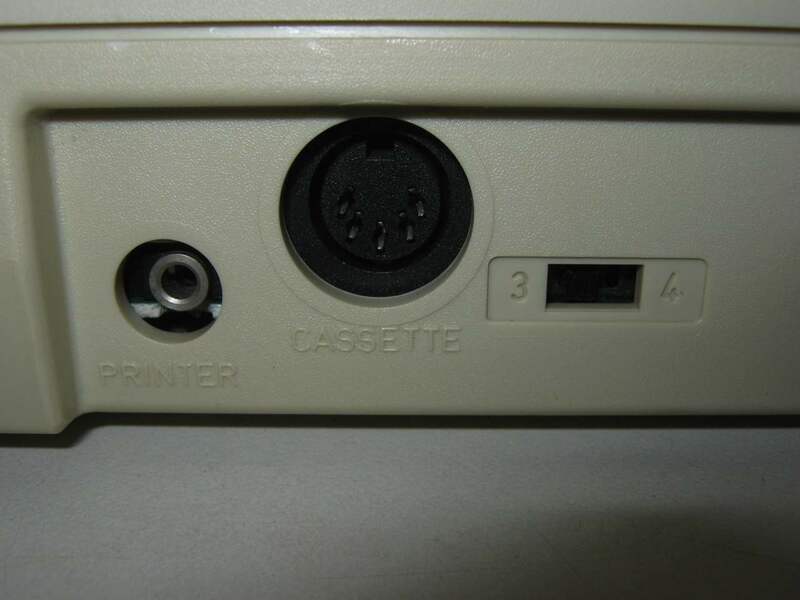 The Intellivoice was a large, brown cartridge that plugged into the Intellivision’s side-mounted cartridge slot; games specifically designed for the device could then be inserted into a slot provided on the right-hand side of the module. 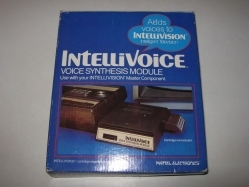 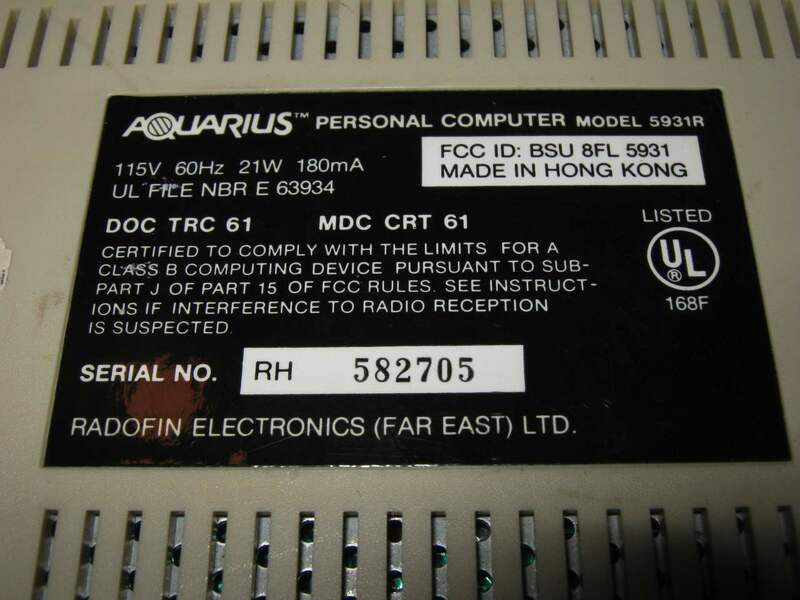 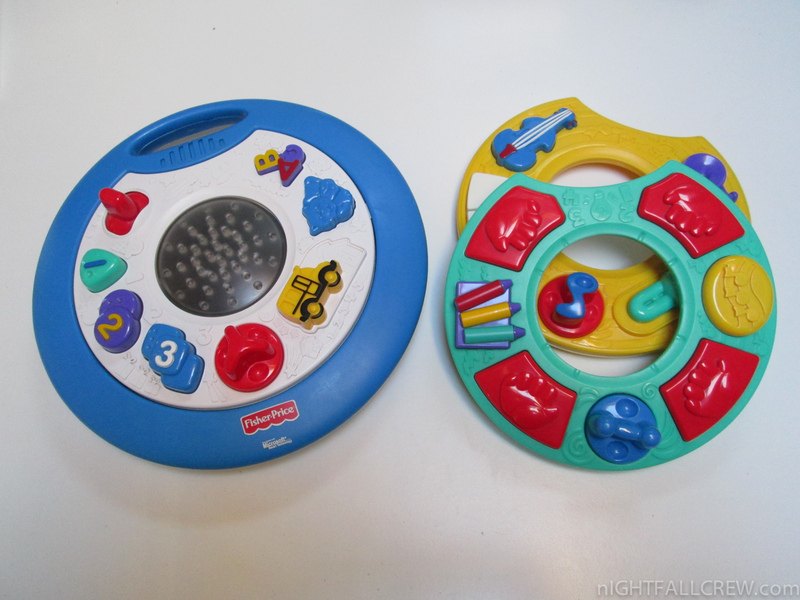 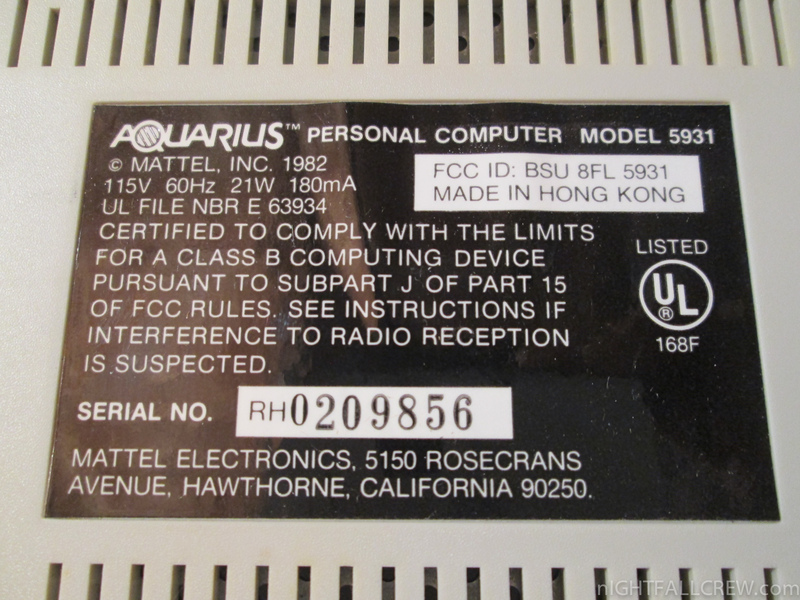 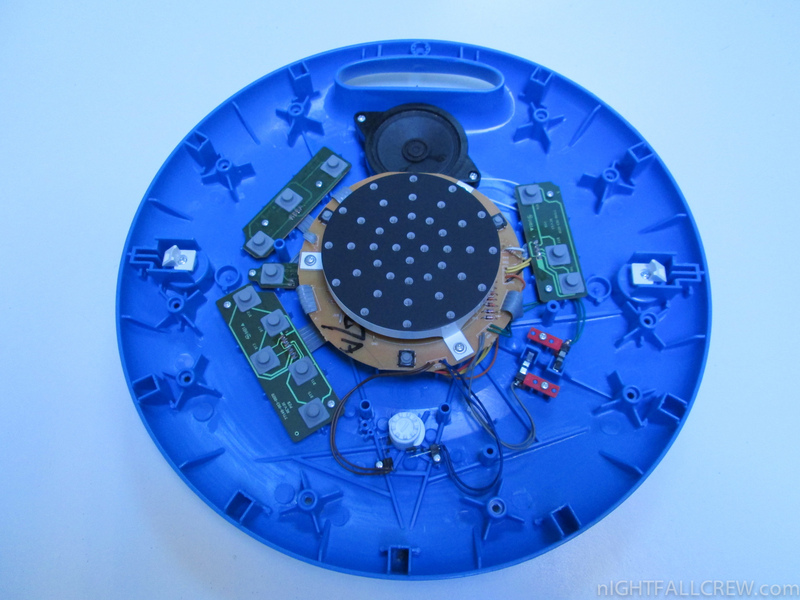 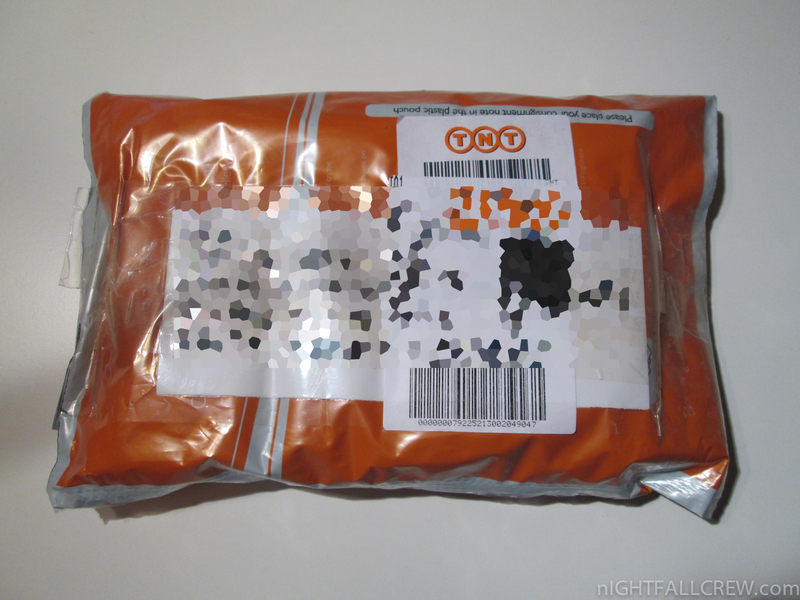 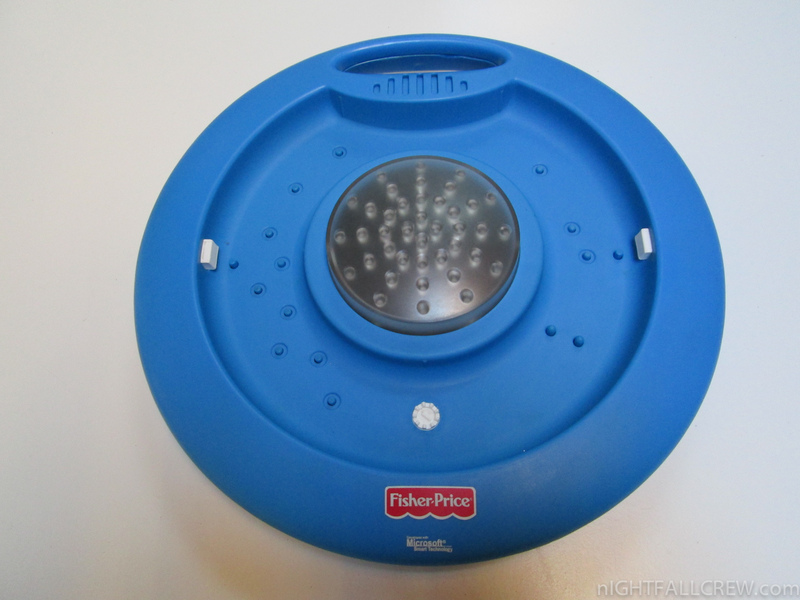 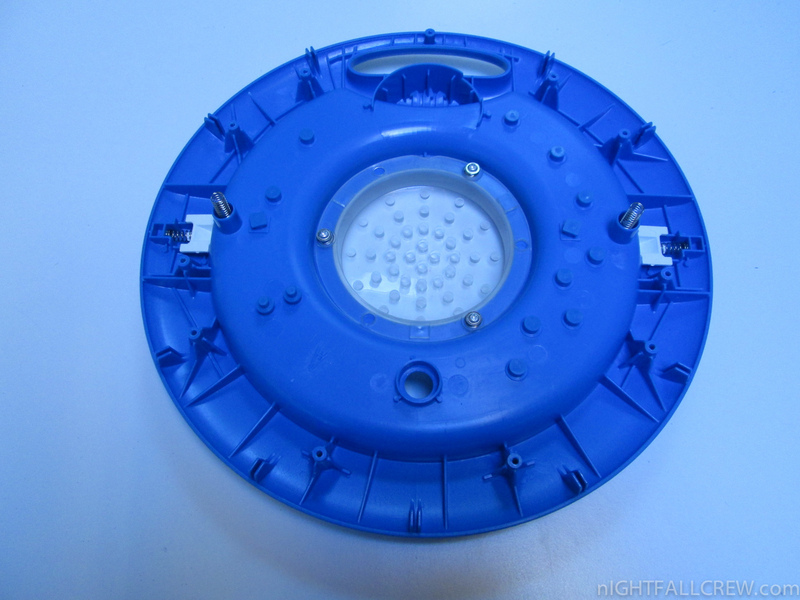 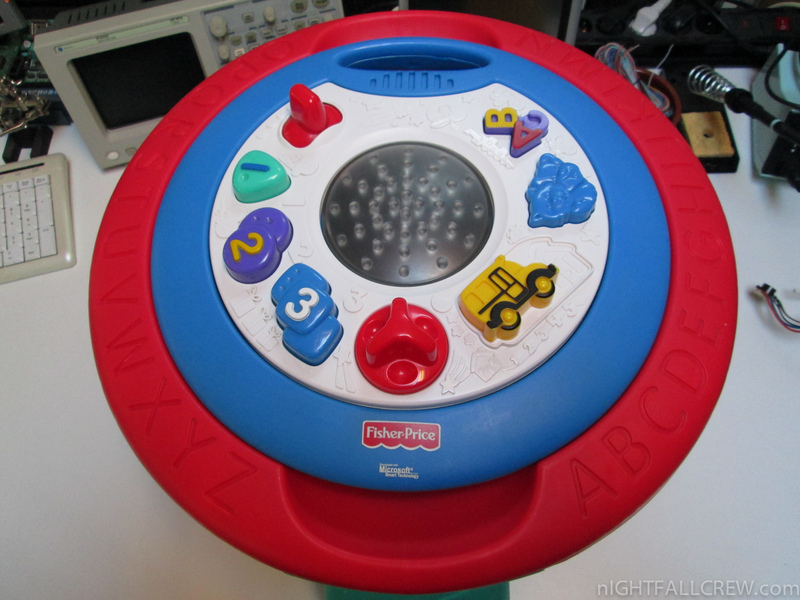 An International version of the Intellivoice was planned, but never released. 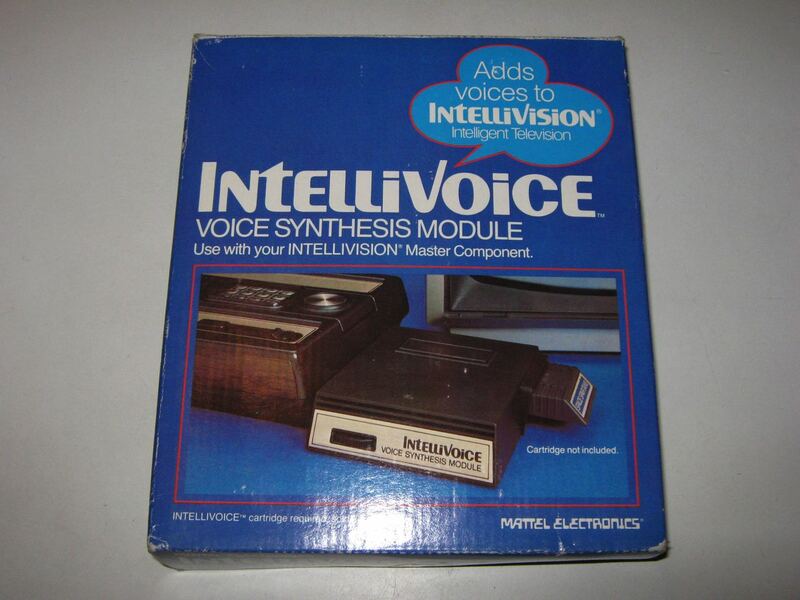 The Intellivoice was discontinued in 1983 due to poor sales, with only five titles released with support for the device. The Intellivision was developed by Mattel Electronics, a subsidiary of Mattel formed expressly for the development of electronic games. 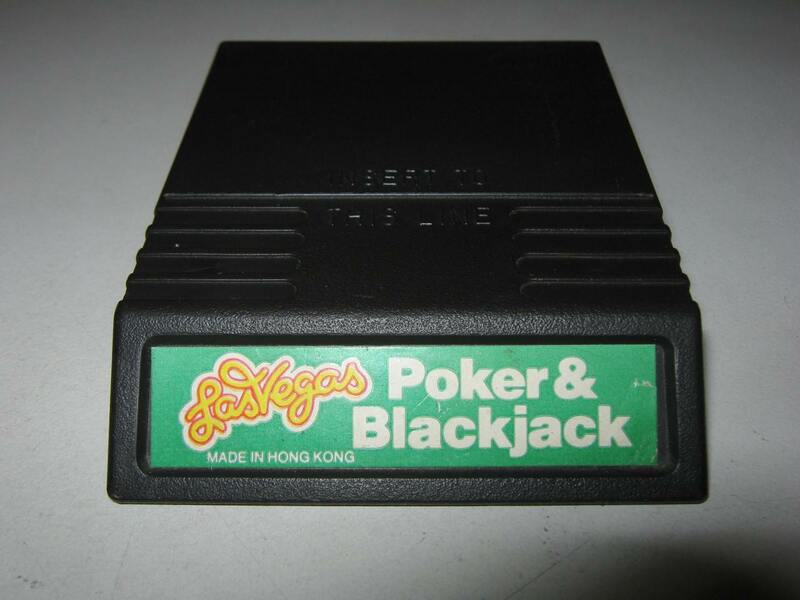 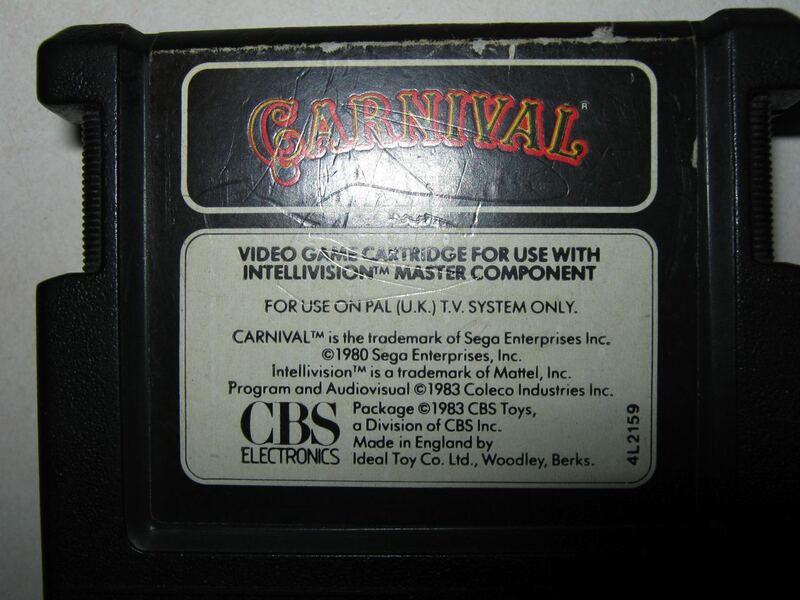 The console was test marketed in Fresno, California, in 1979 with a total of four games available, and was released nationwide in 1980 with a price tag of US$299 and a pack-in game: Las Vegas Poker & Blackjack. 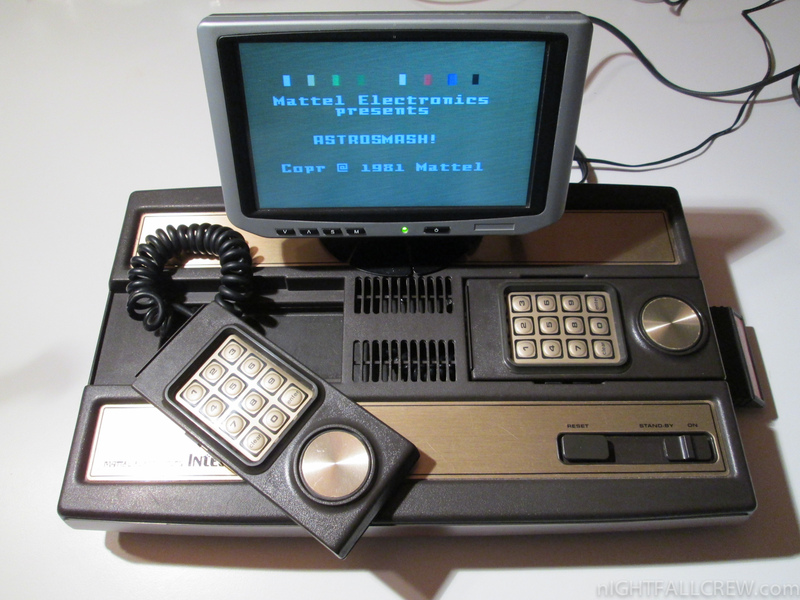 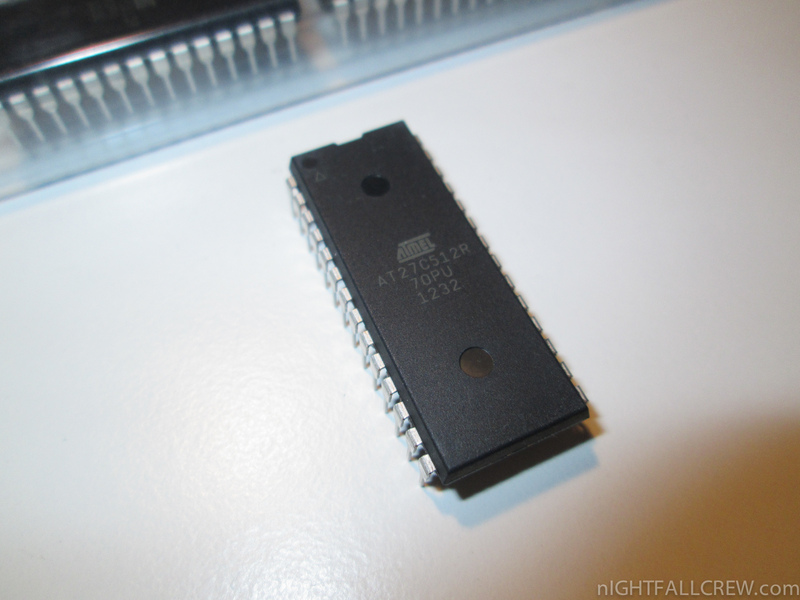 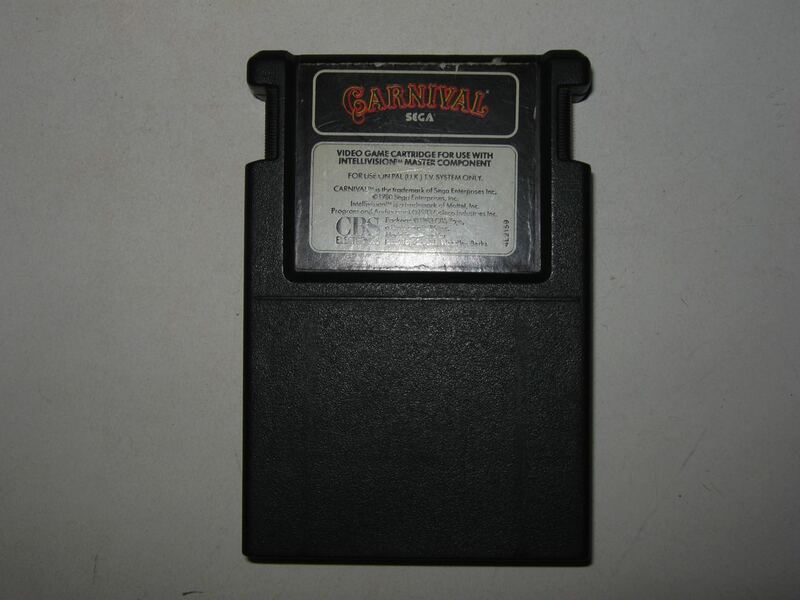 Though not the first system to challenge Atari, it was the first to pose a serious threat to Atari’s dominance. 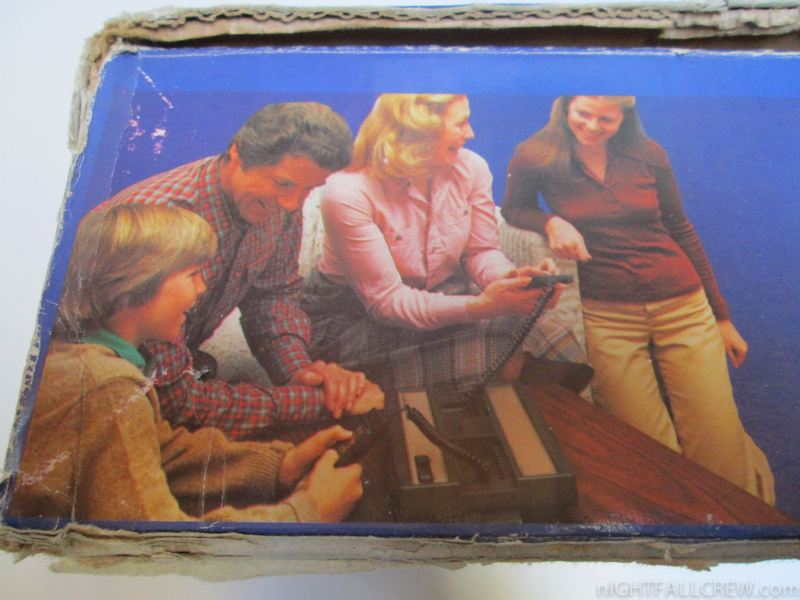 A series of ads featuring George Plimpton was produced that mercilessly attacked the Atari 2600′s lesser capabilities with side-by-side game comparisons.